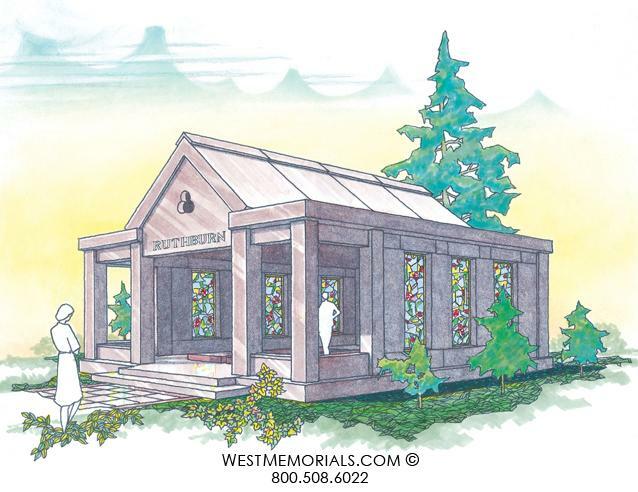 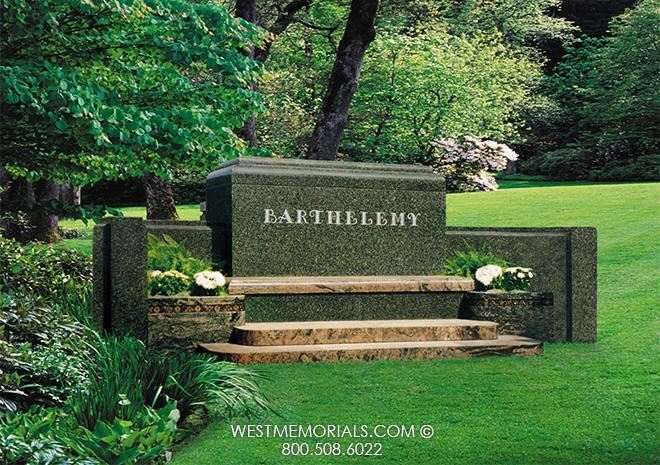 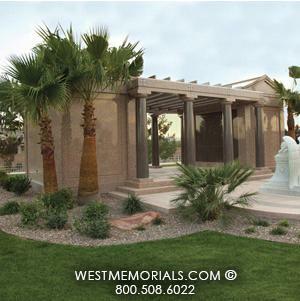 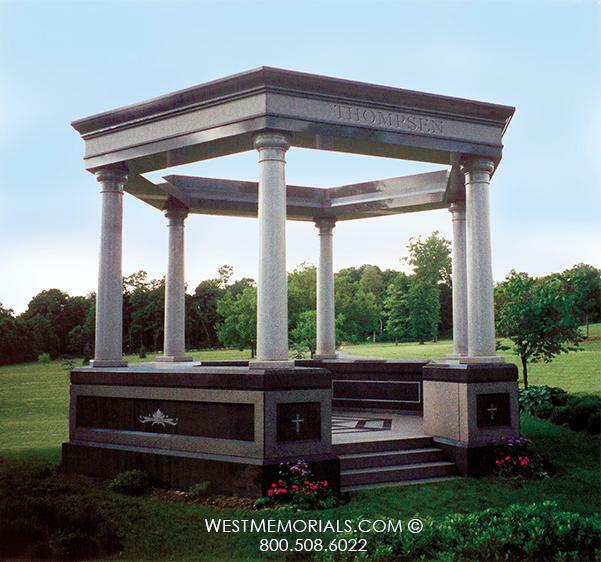 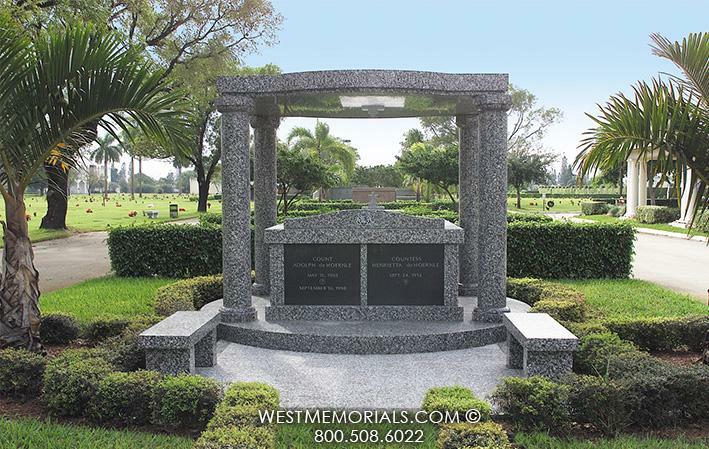 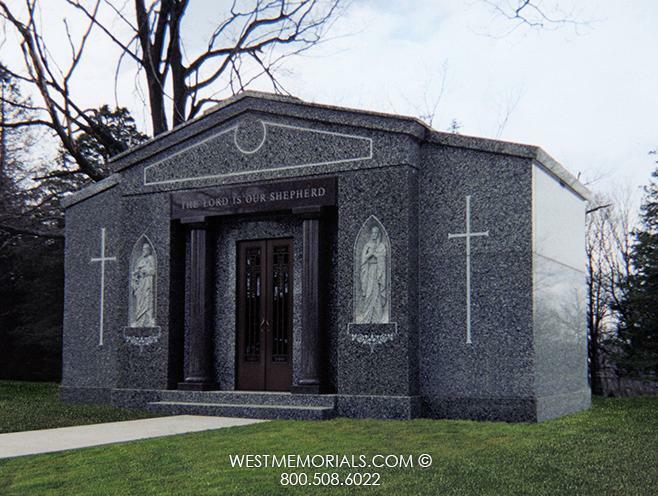 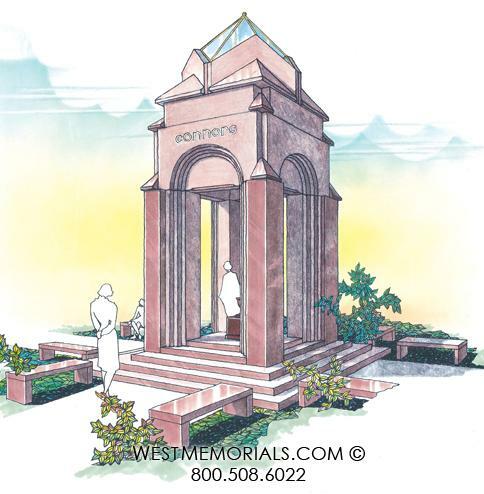 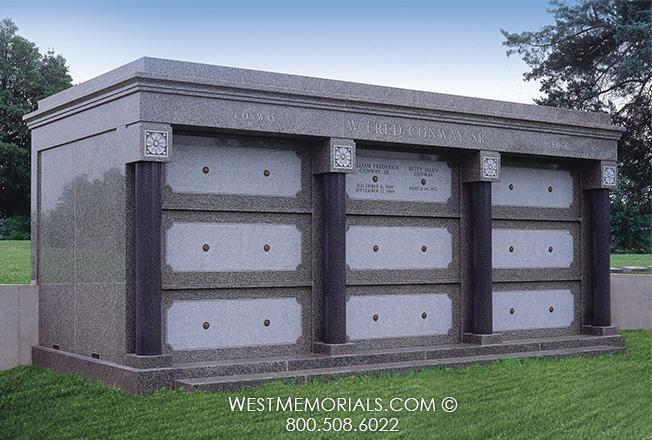 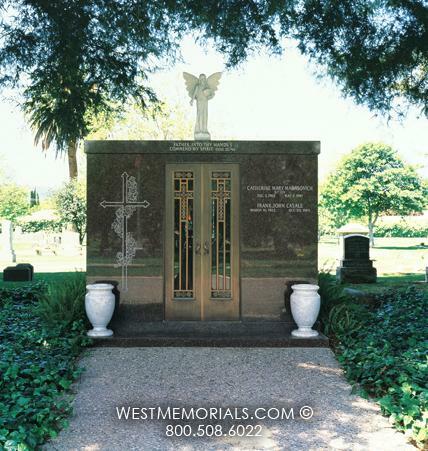 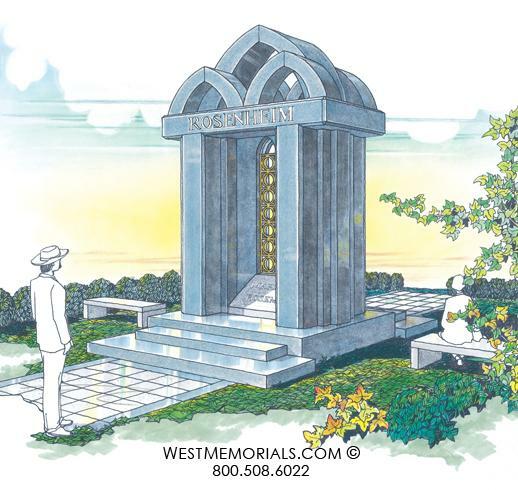 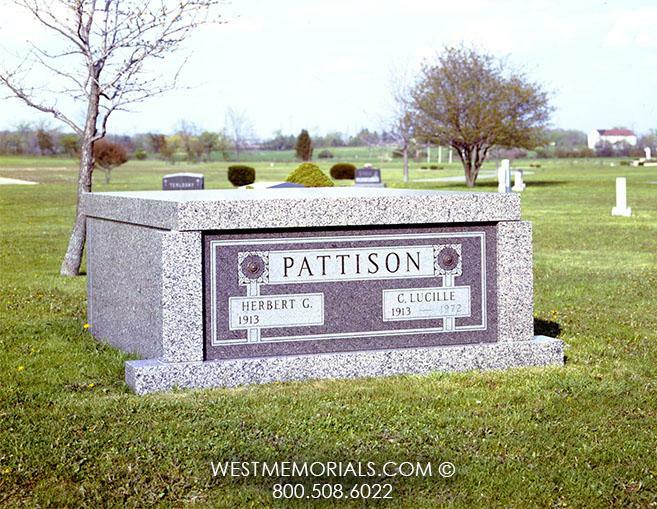 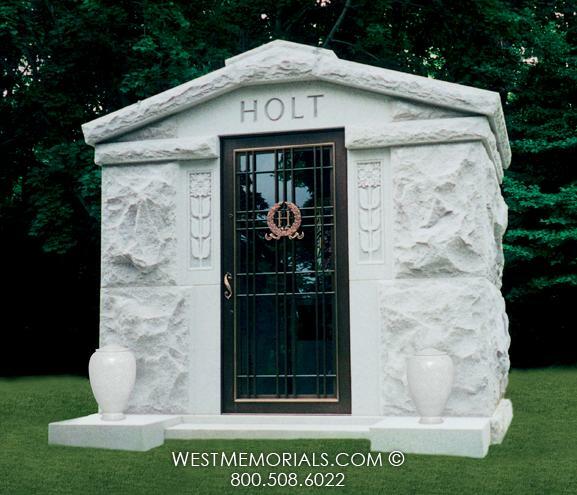 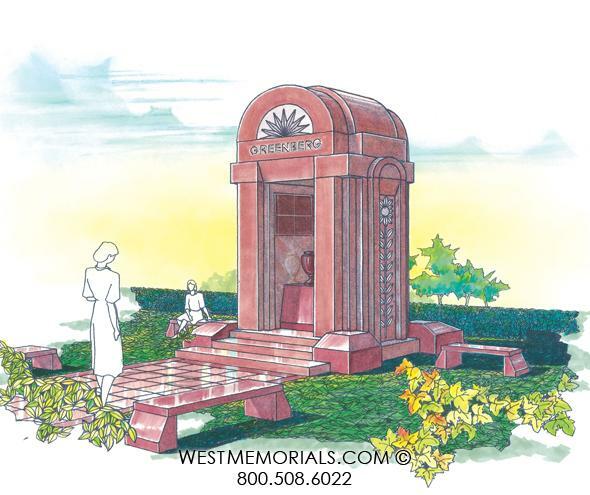 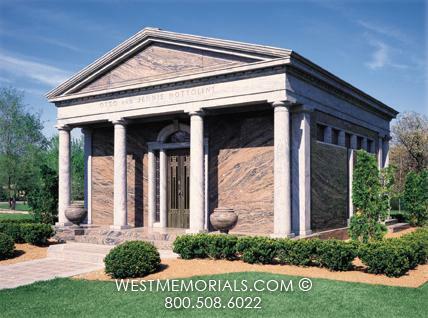 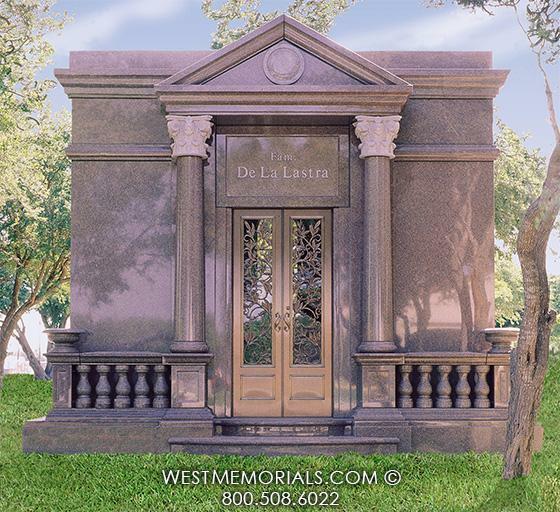 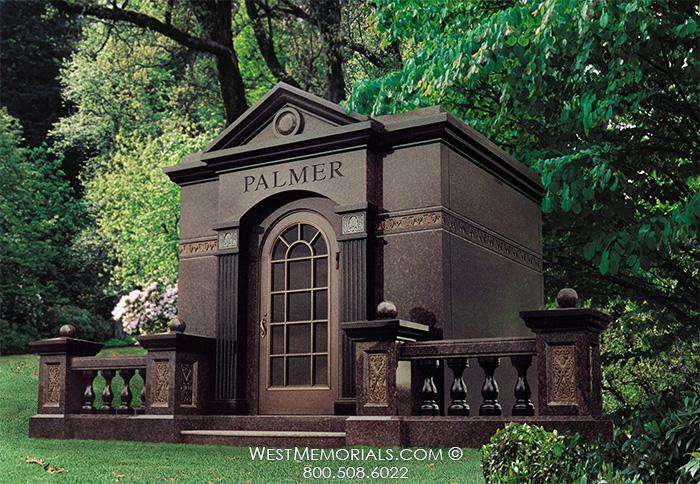 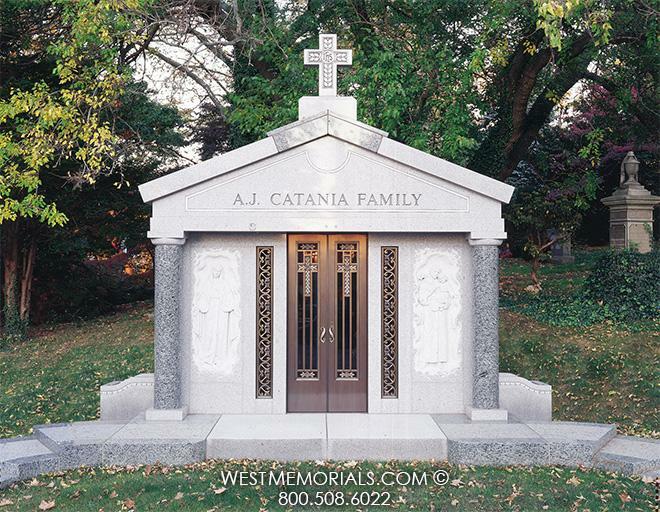 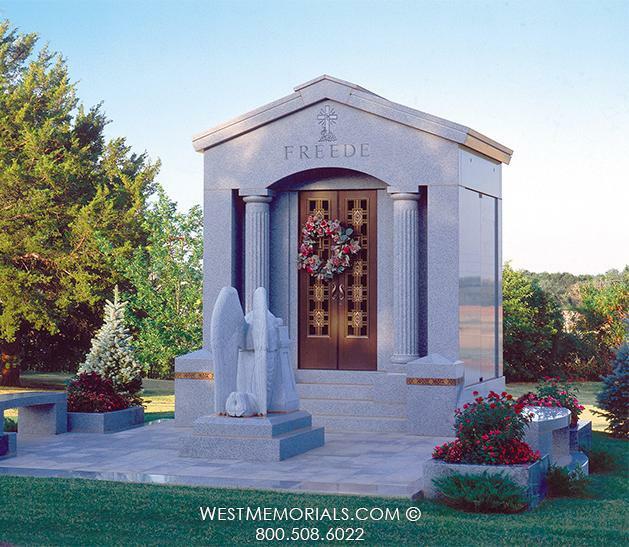 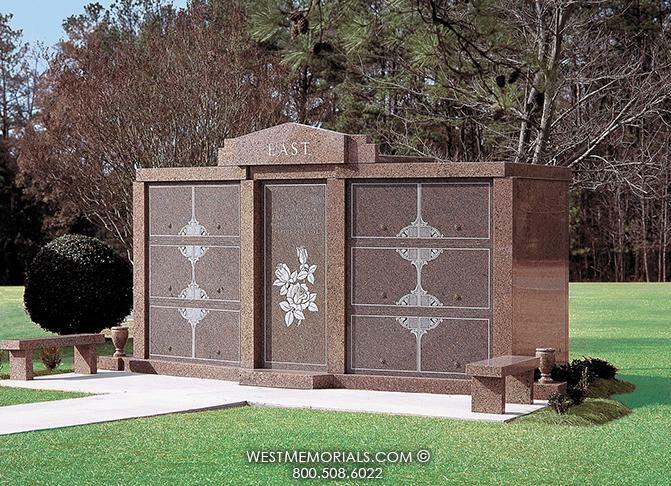 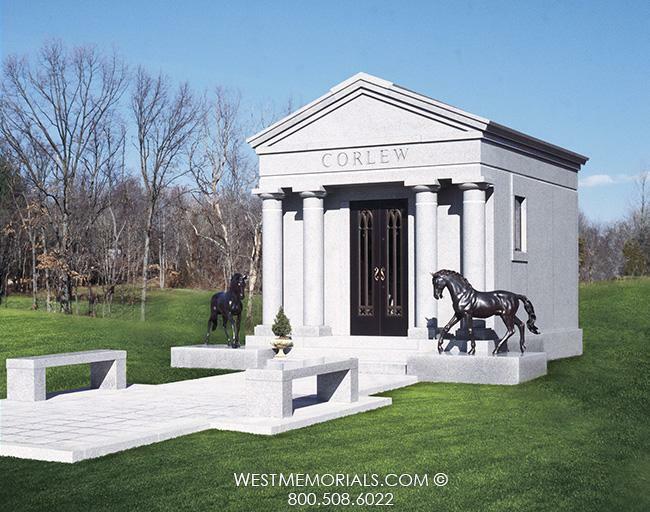 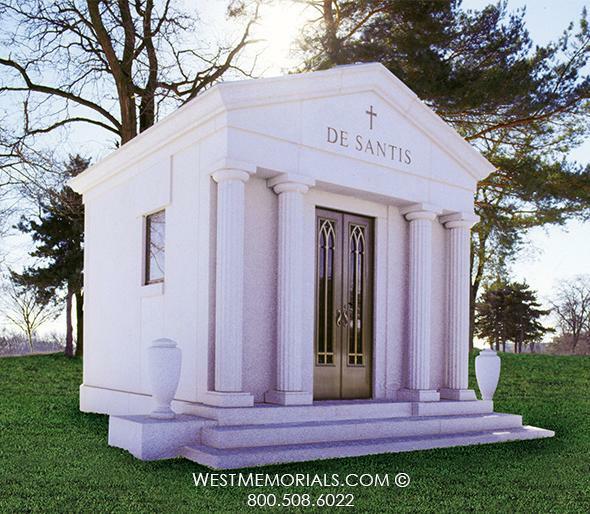 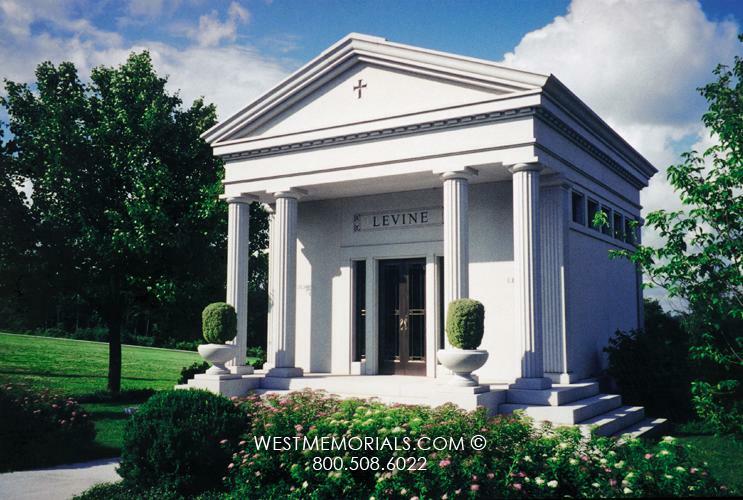 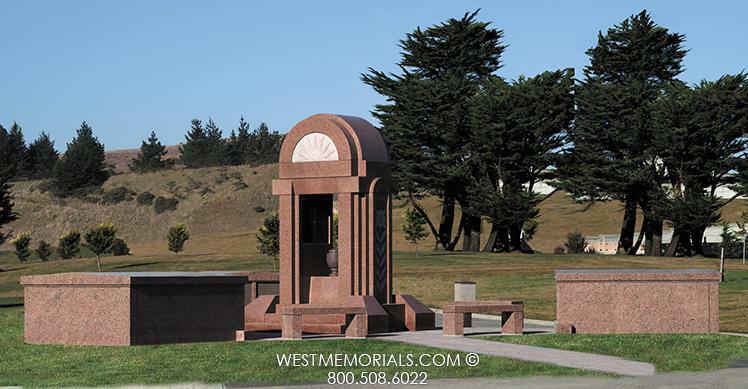 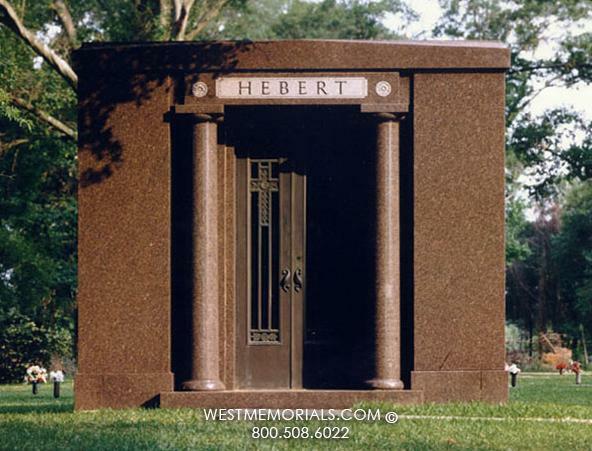 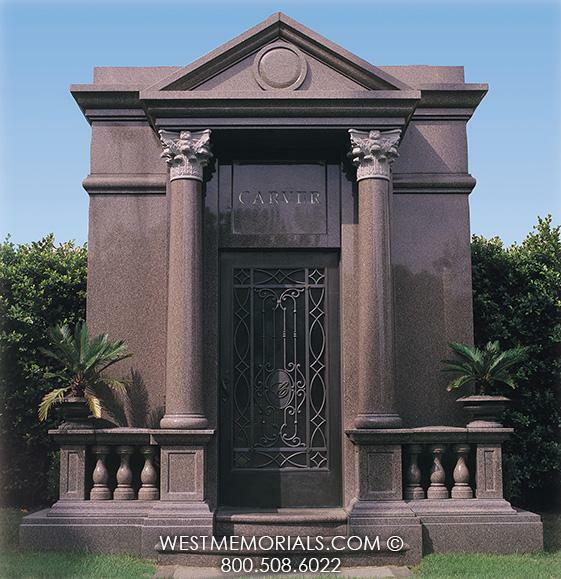 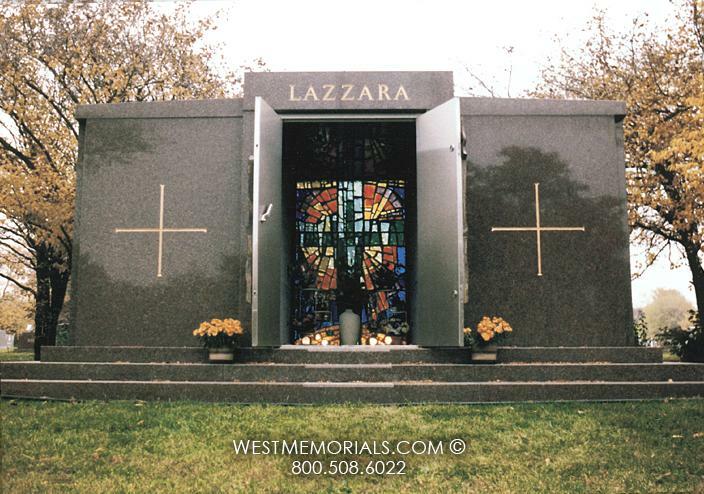 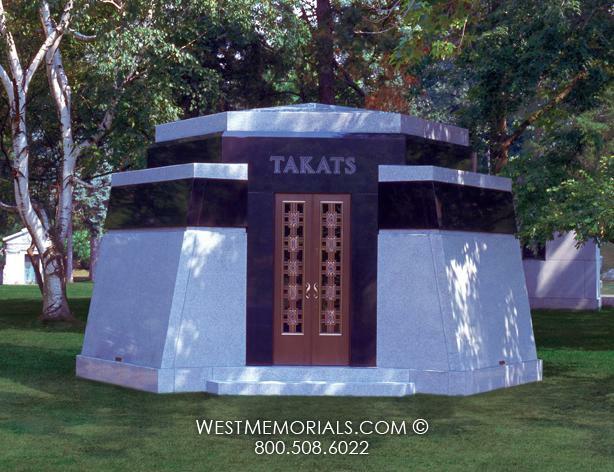 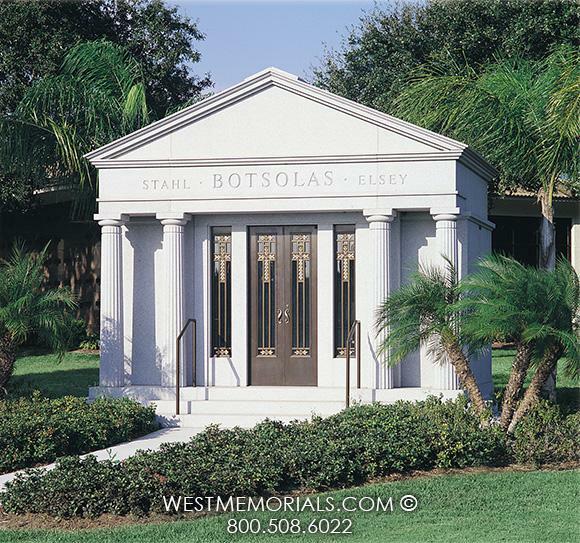 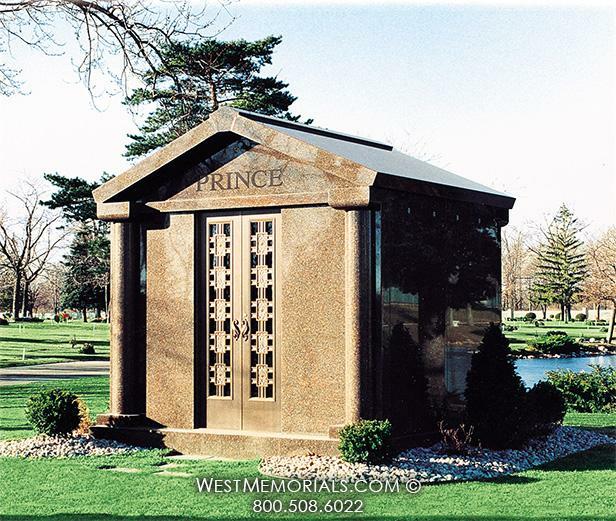 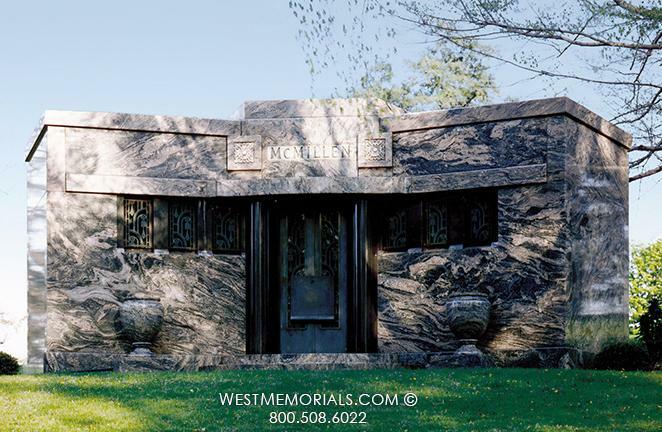 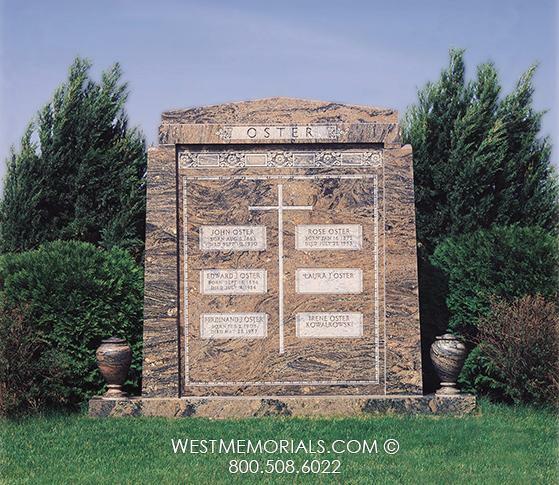 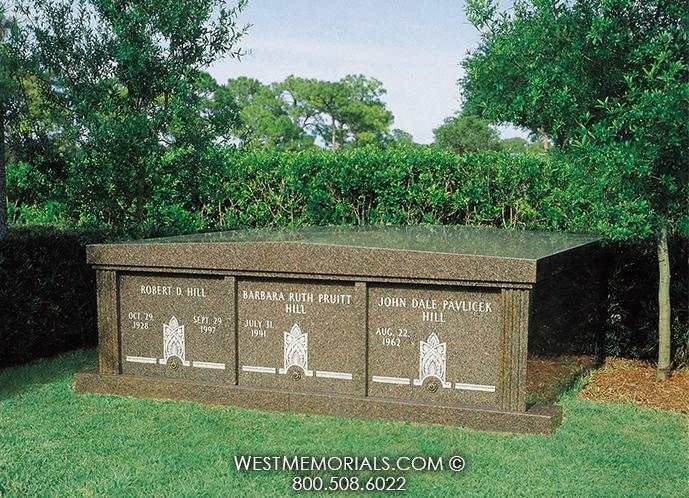 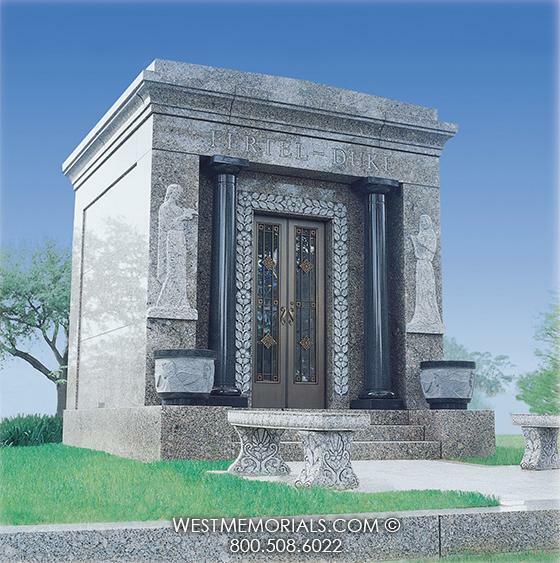 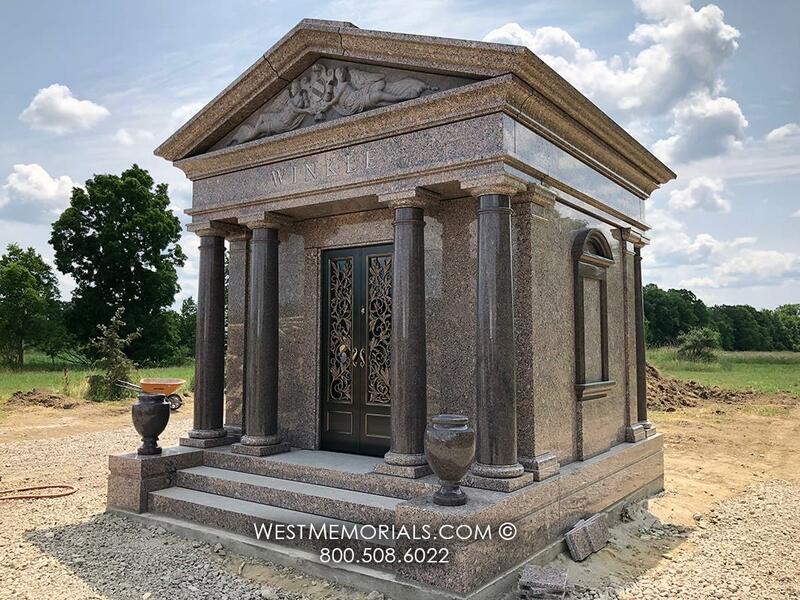 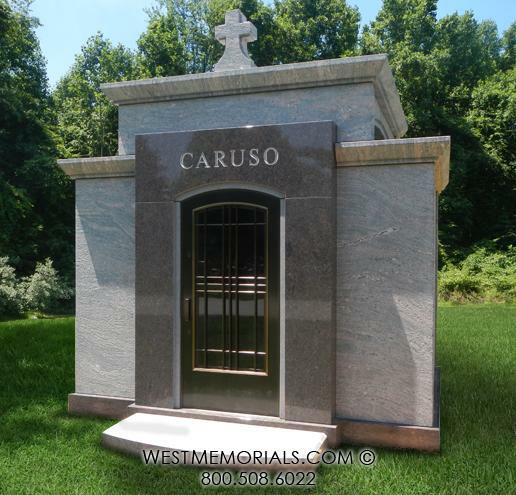 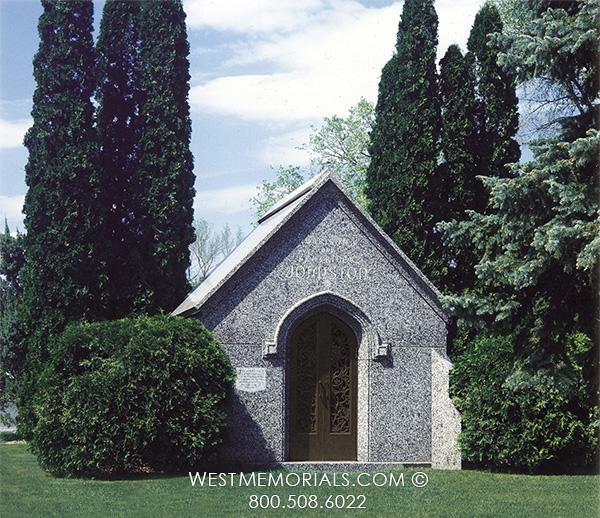 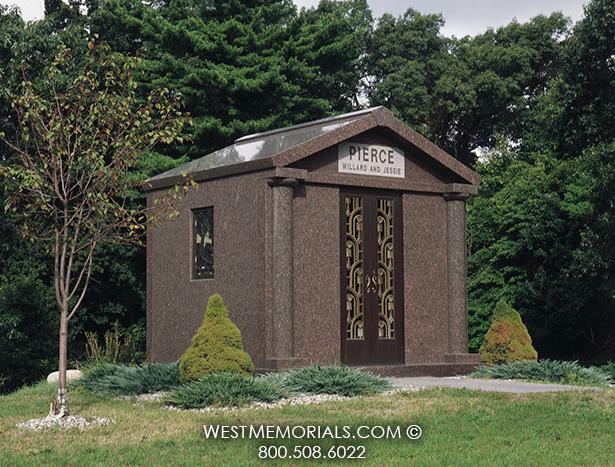 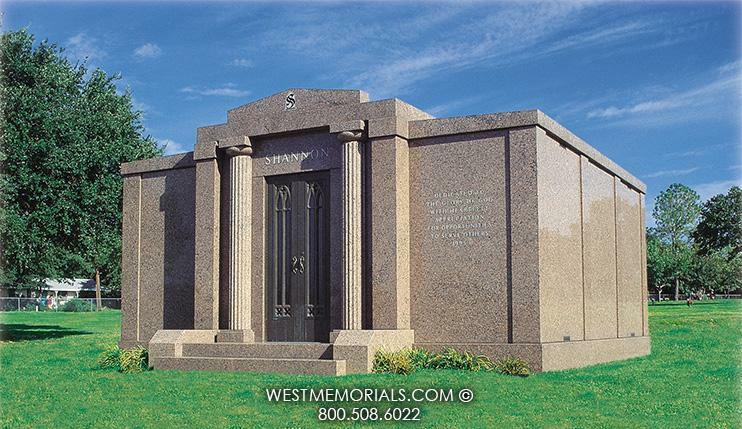 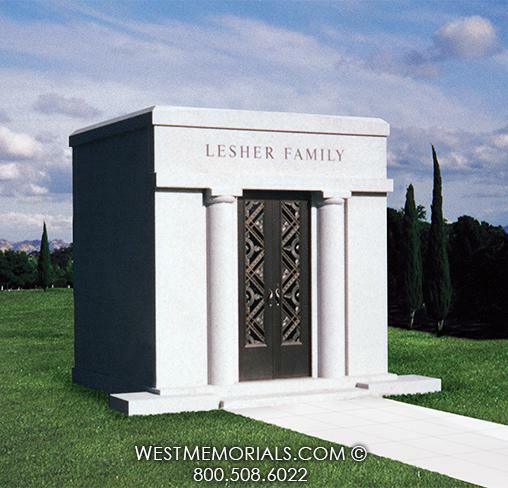 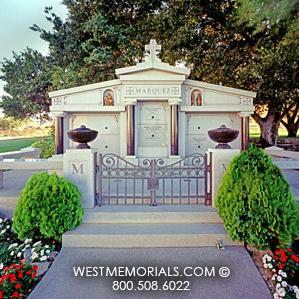 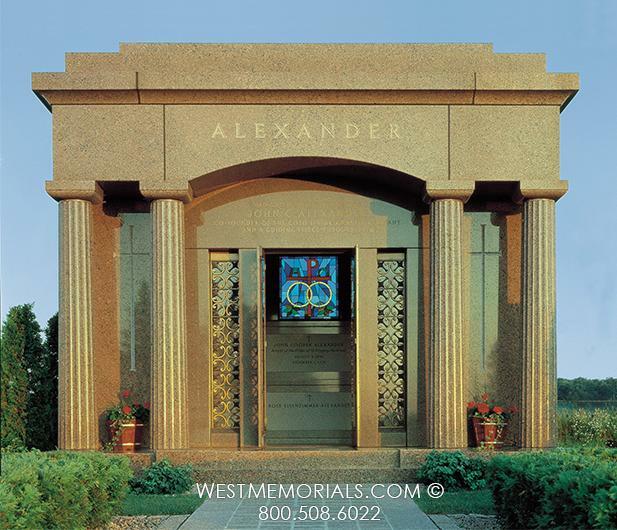 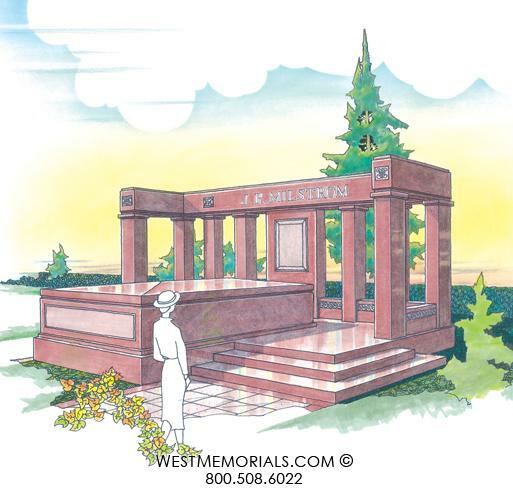 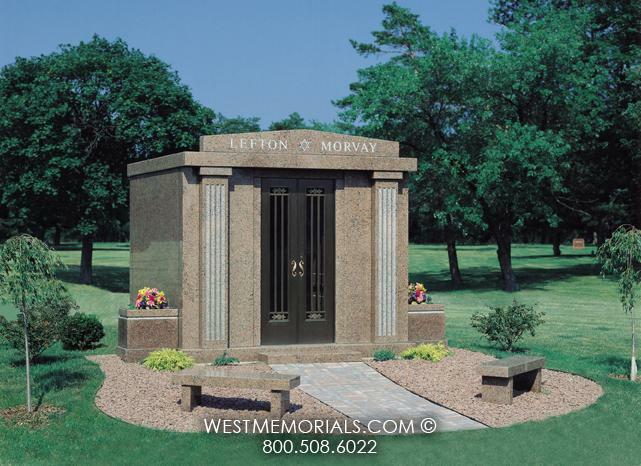 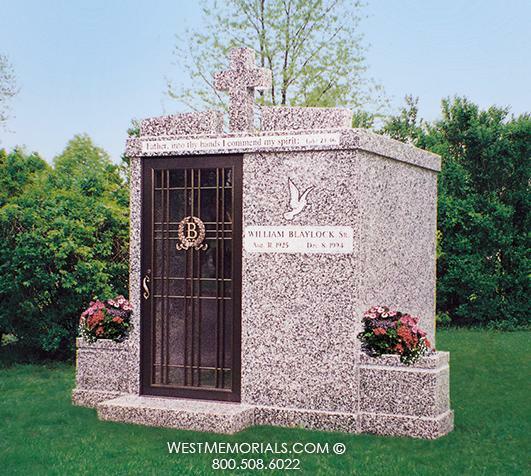 Paul West designed and built this unique private family mausoleum with 2 crypts for the Carberry Family. 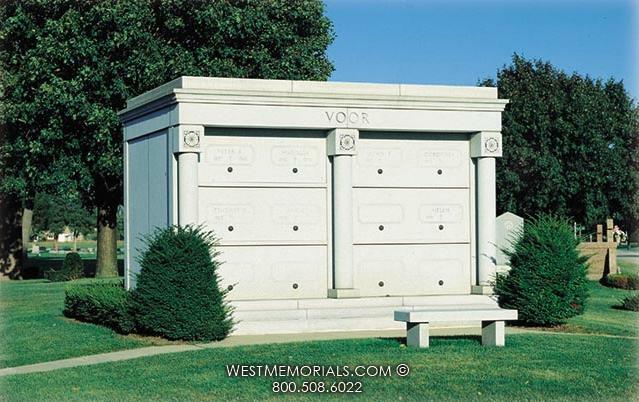 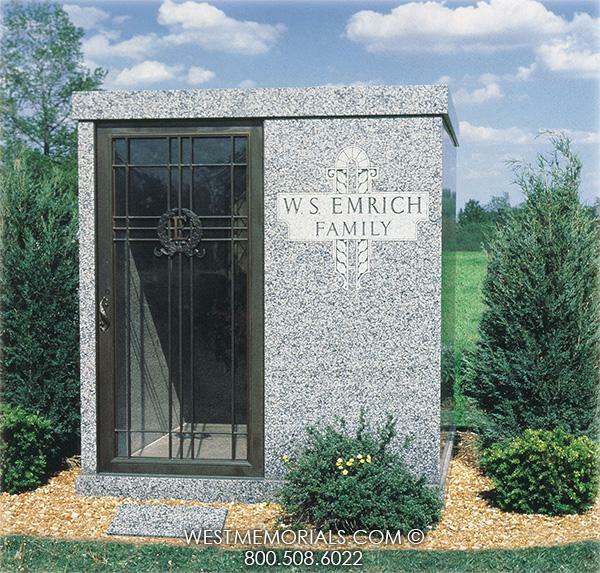 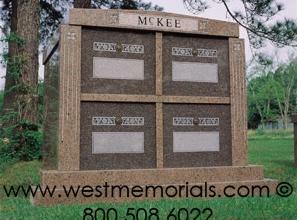 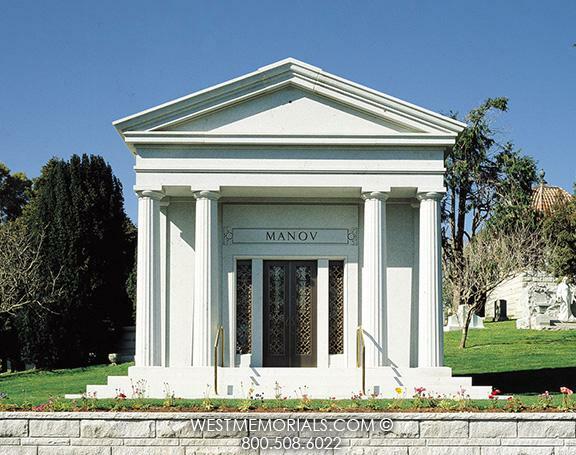 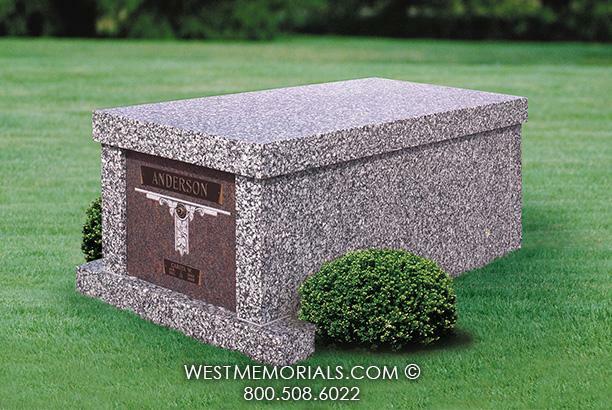 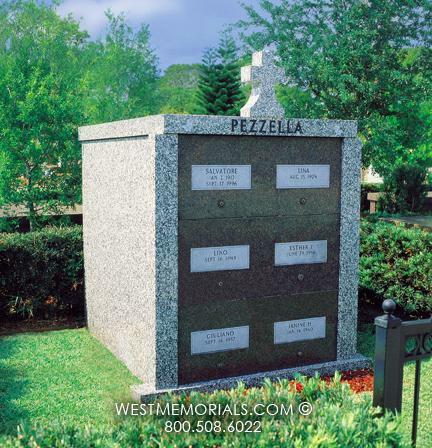 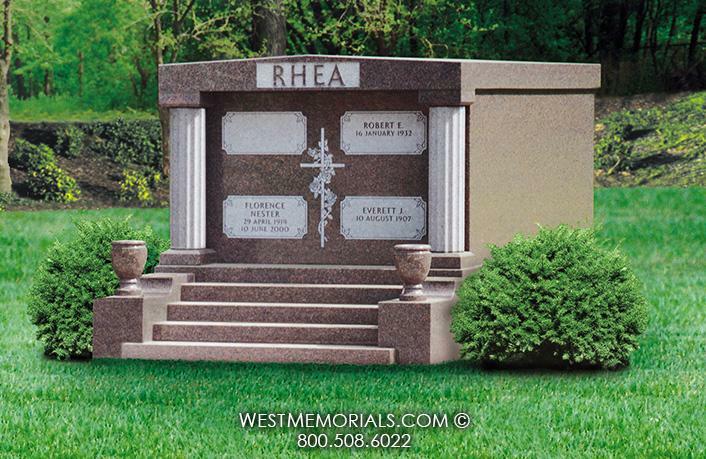 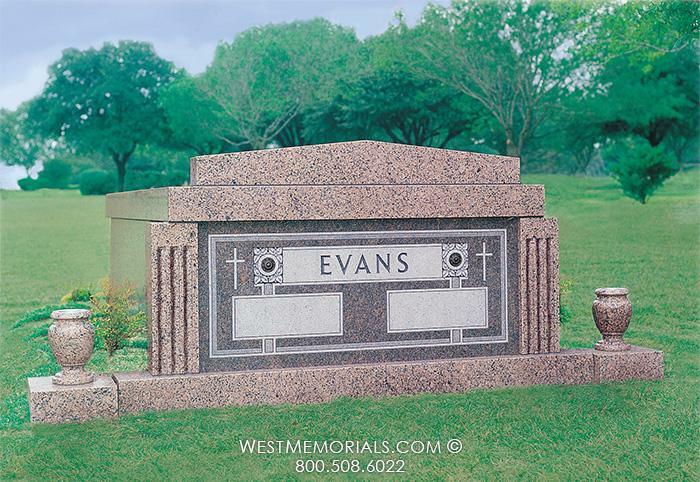 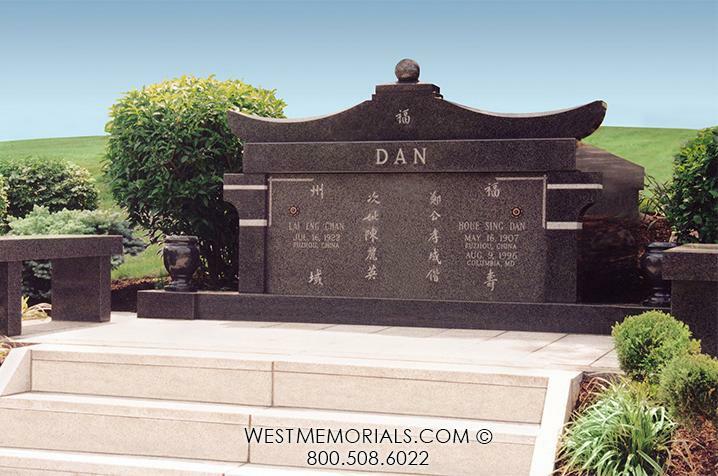 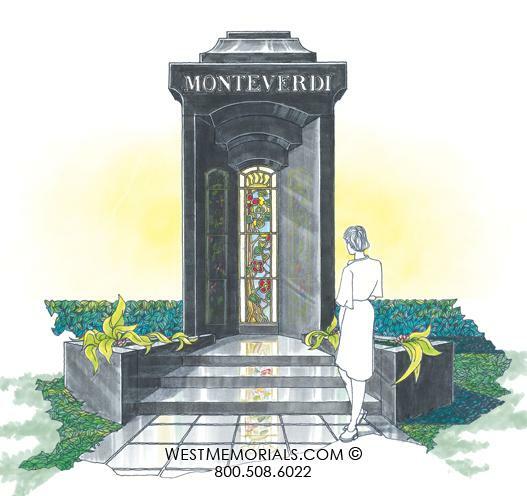 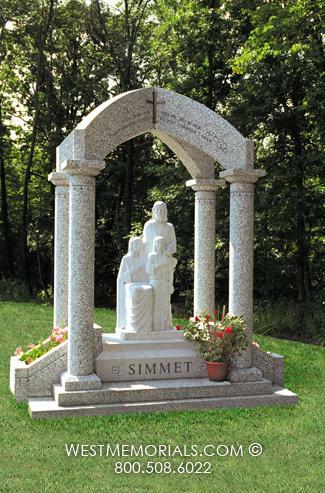 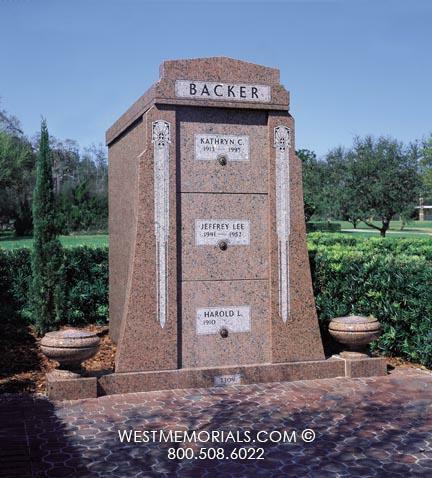 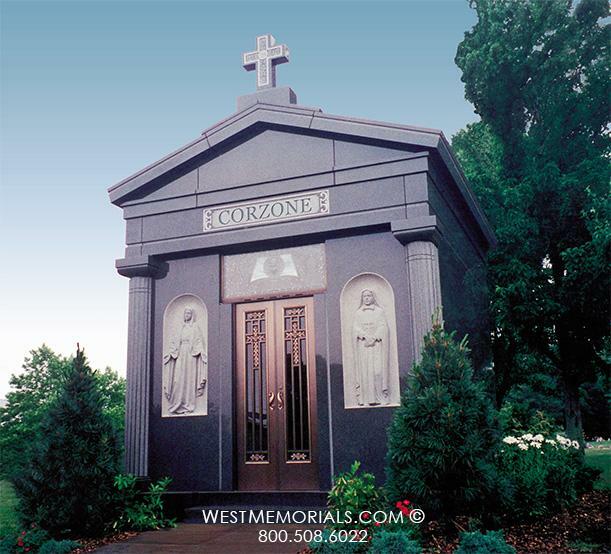 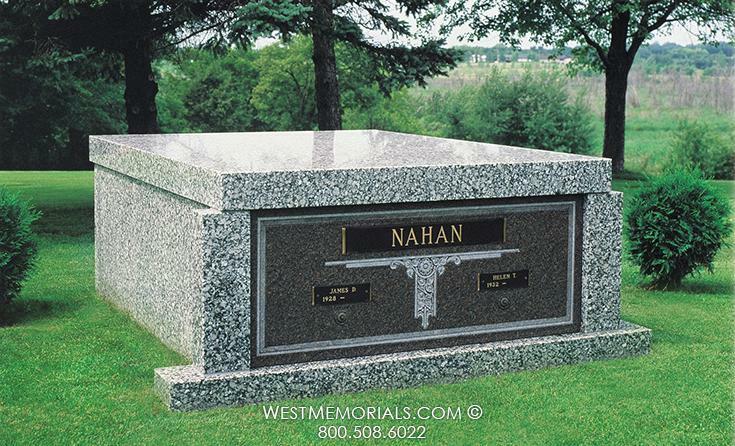 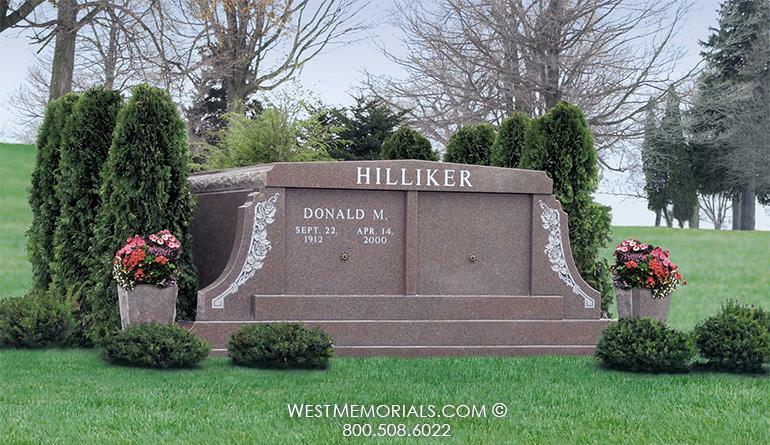 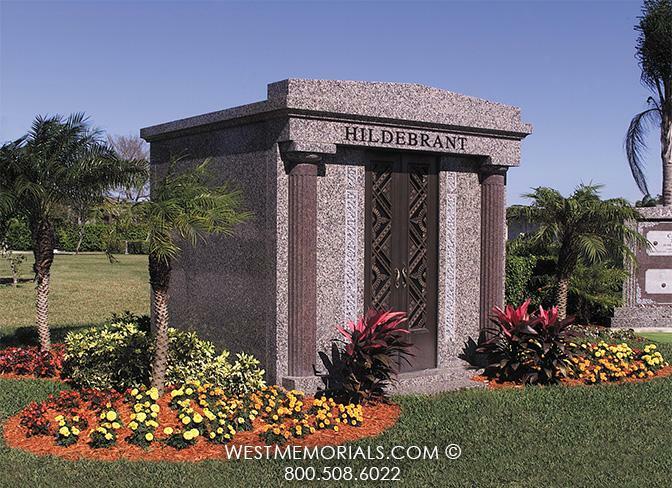 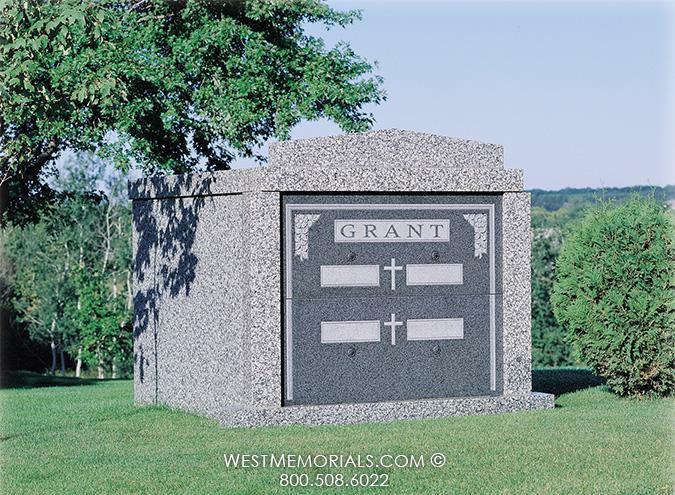 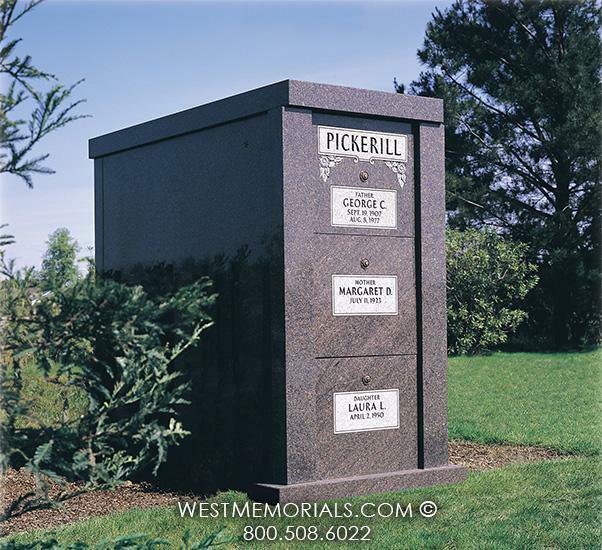 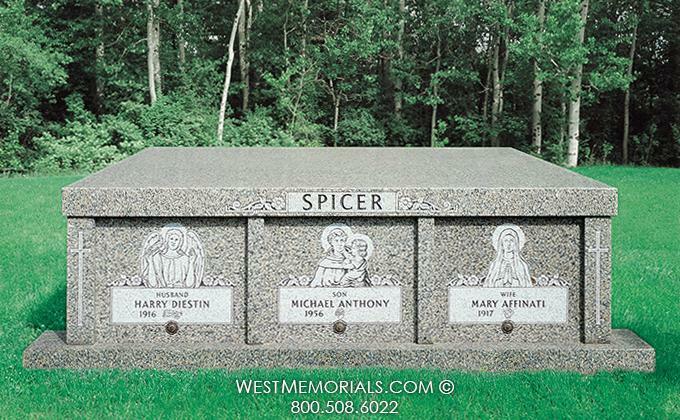 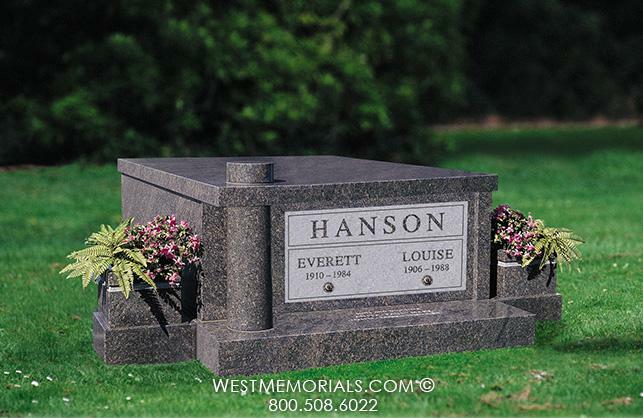 Many families pre-arrange their cemetery property and build their mausoleums. 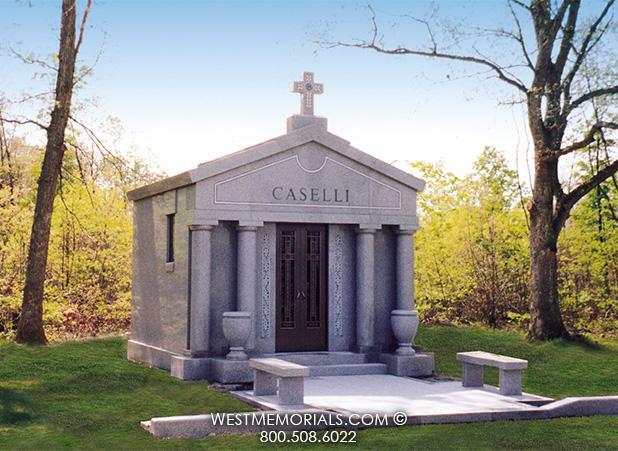 The Carberry's asked Paul to visit with them in Boston, MA, to help secure their burial plots at St. Michael Cemetery. 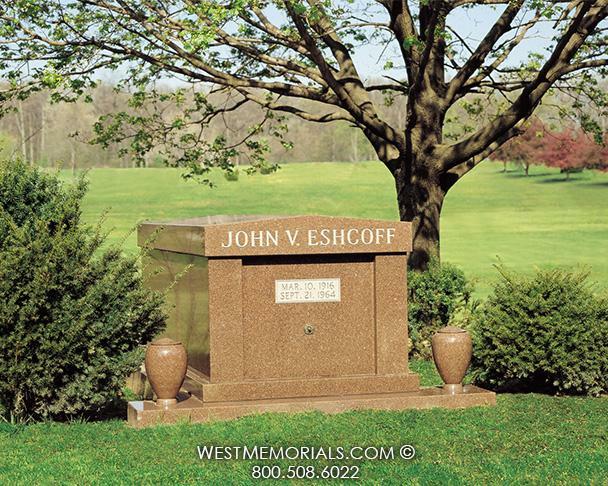 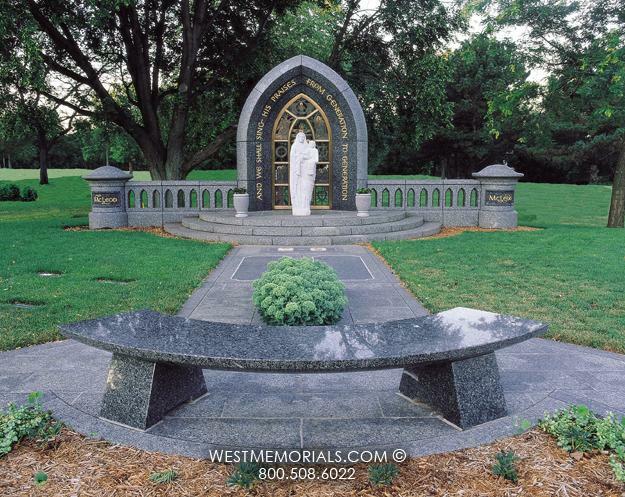 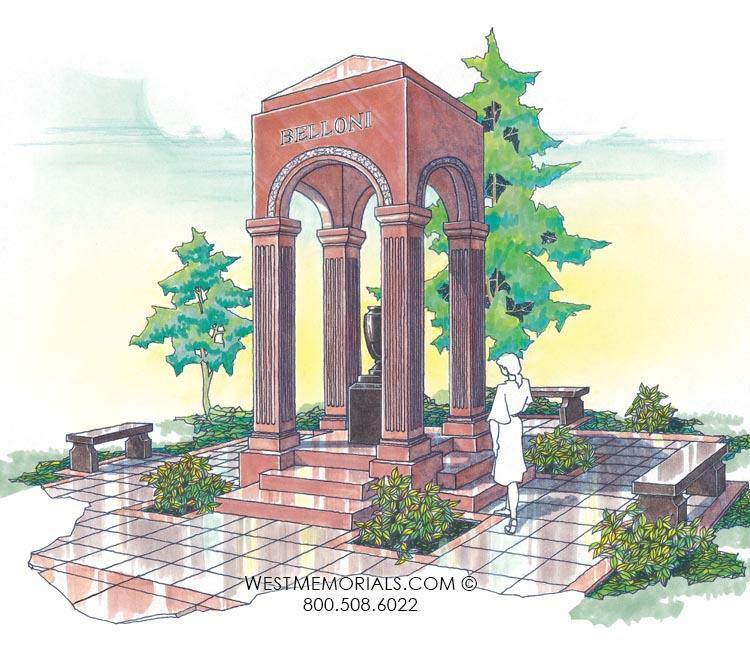 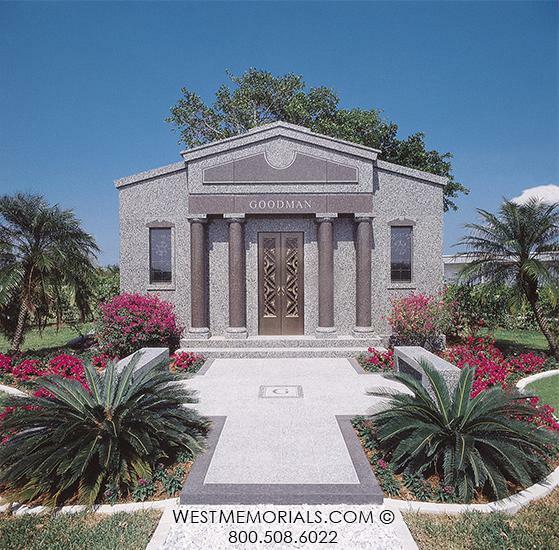 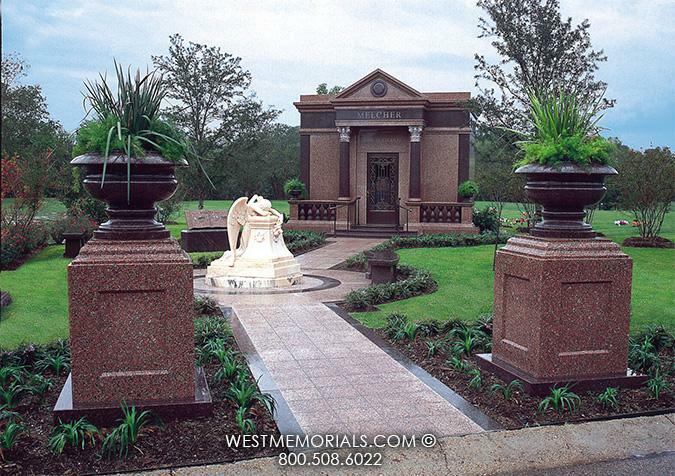 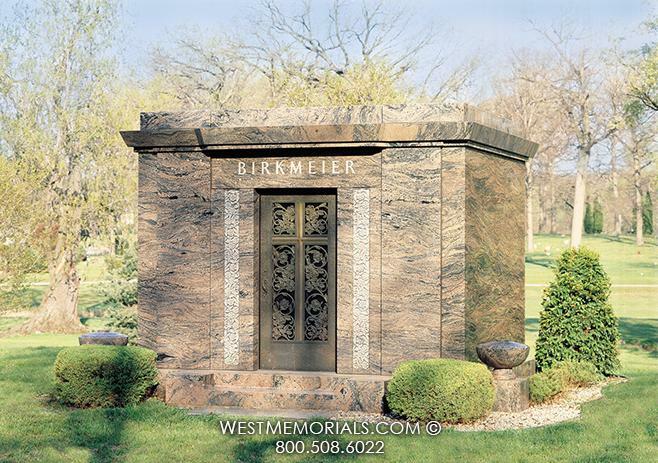 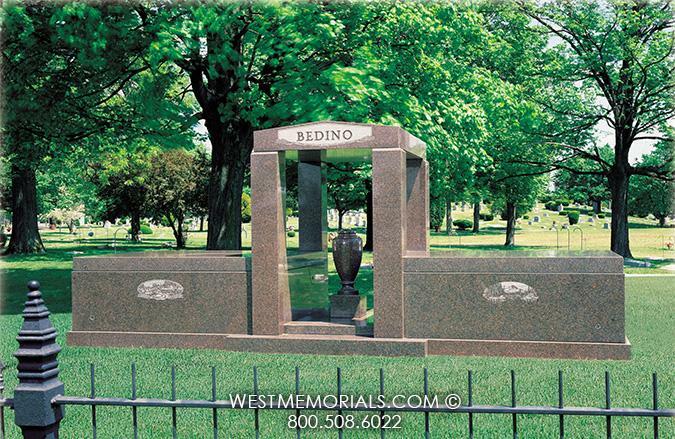 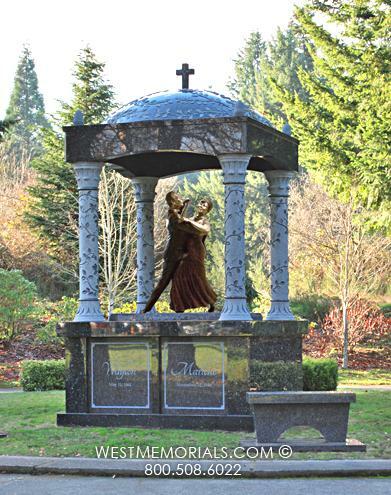 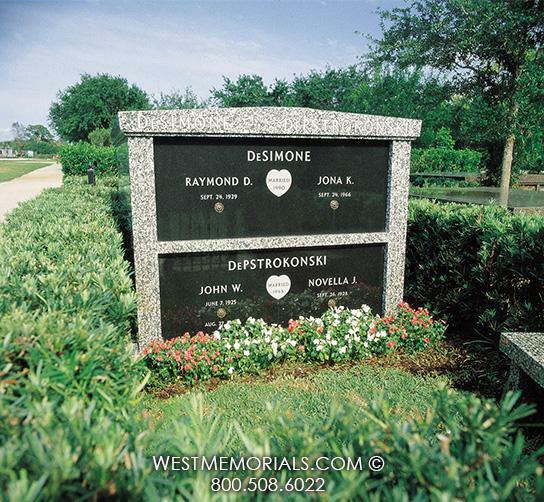 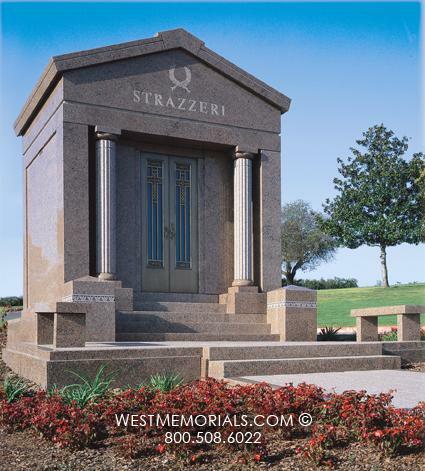 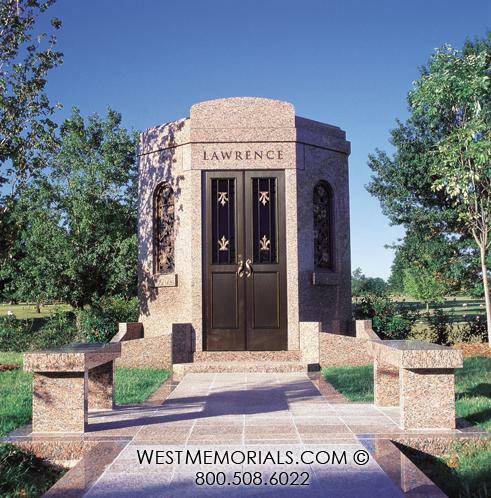 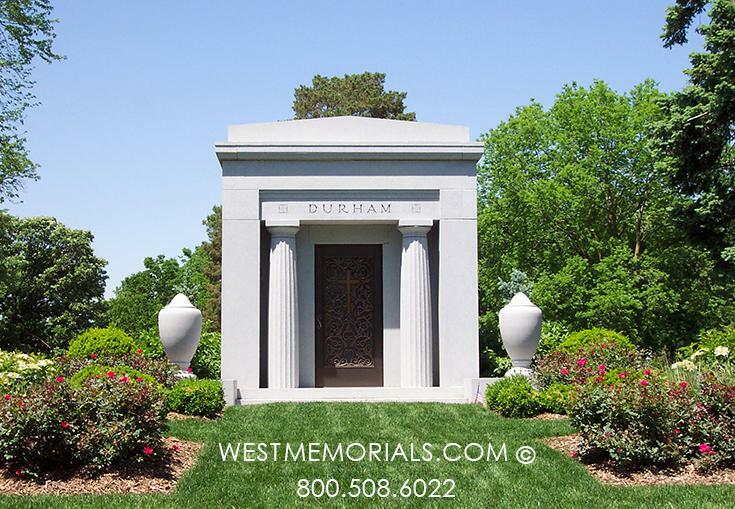 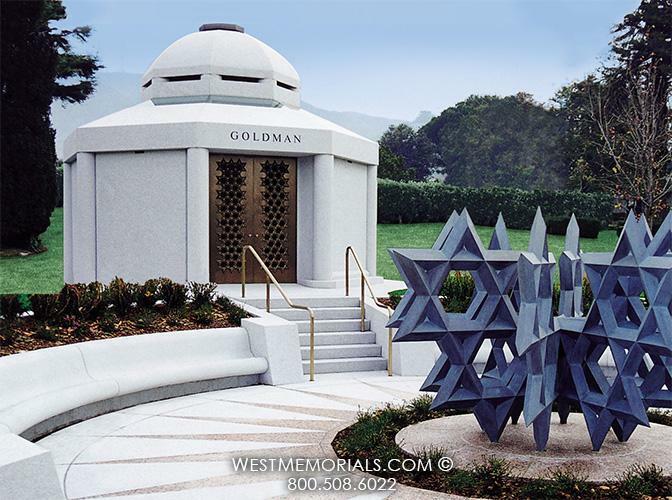 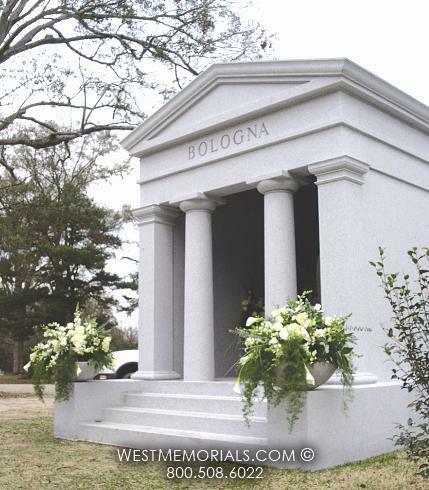 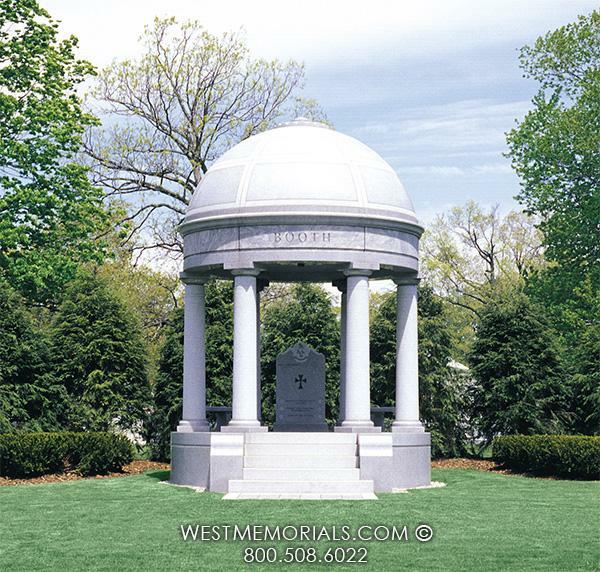 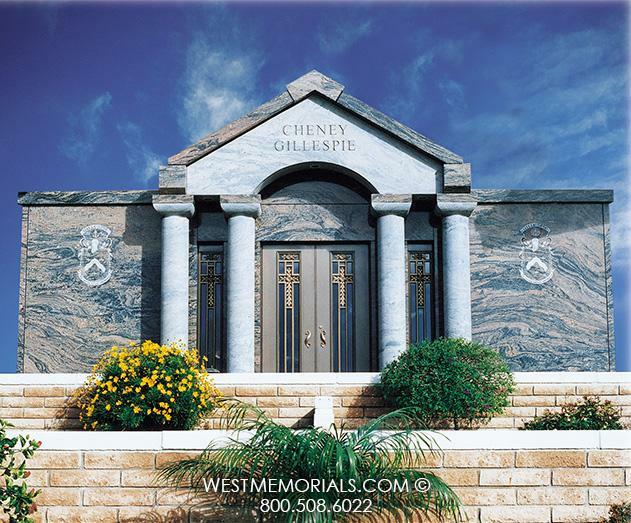 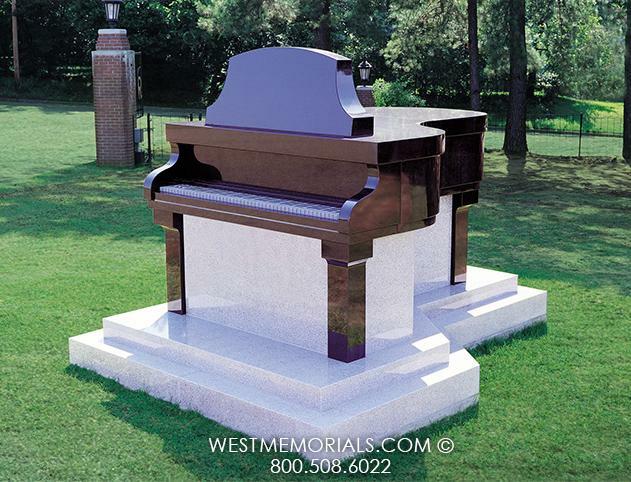 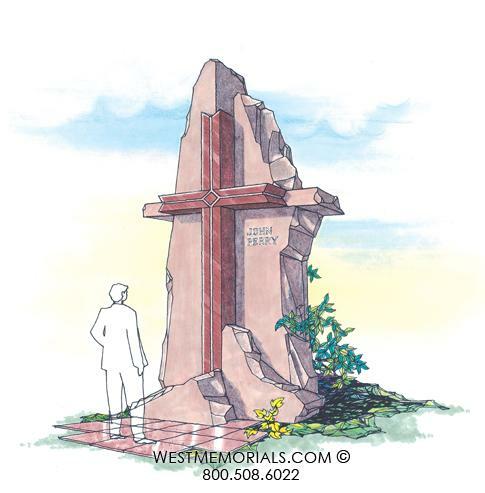 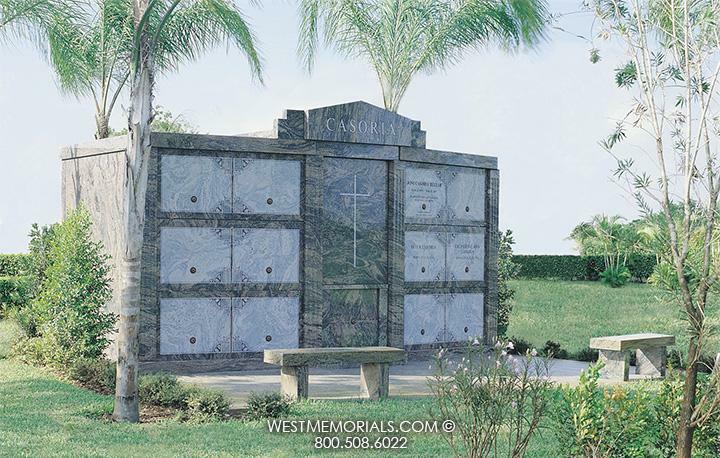 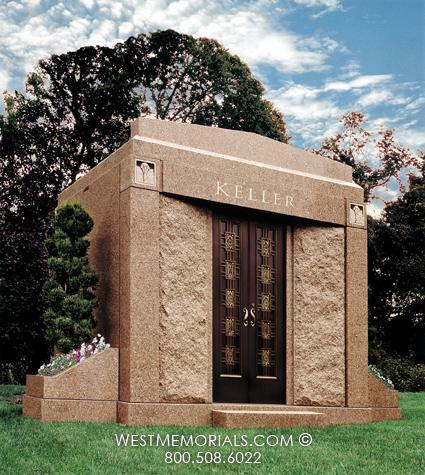 After negotiations, a lovely area of the cemetery was chosen for this rose colored granite mausoleum. 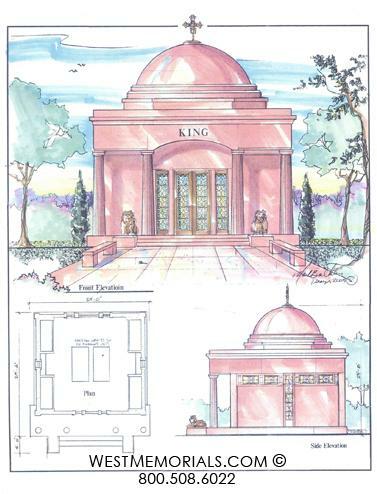 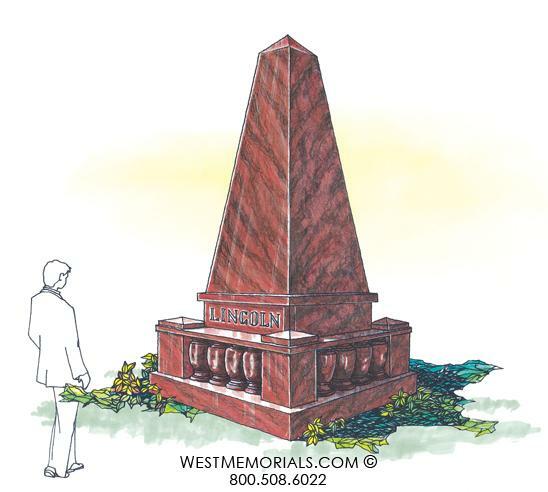 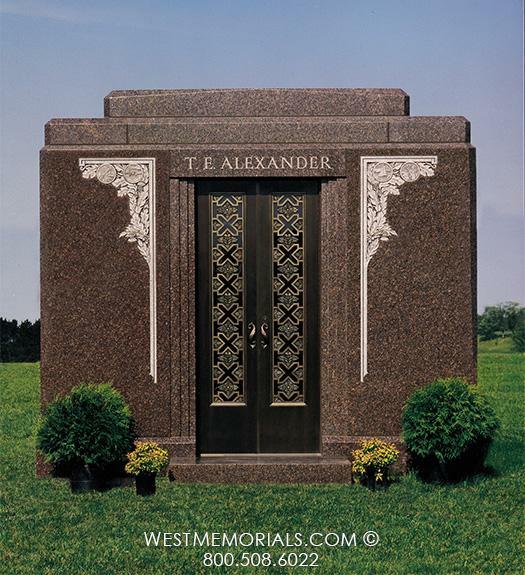 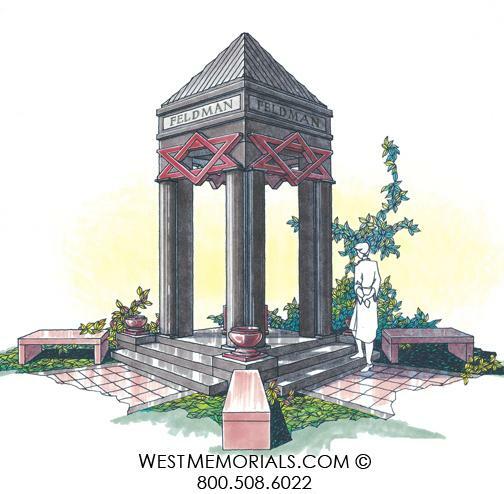 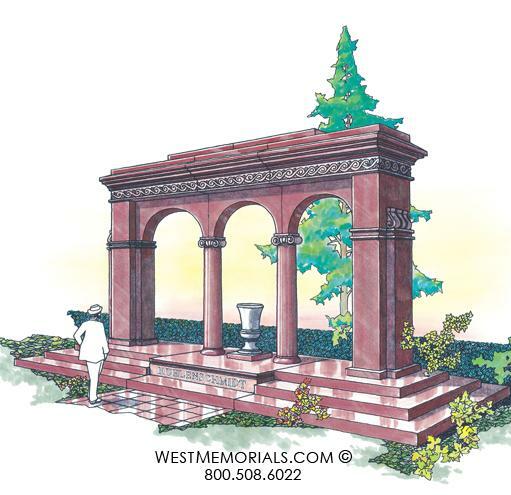 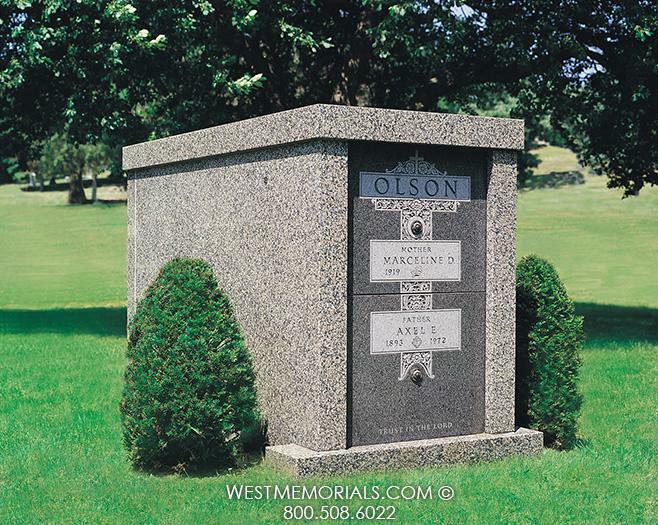 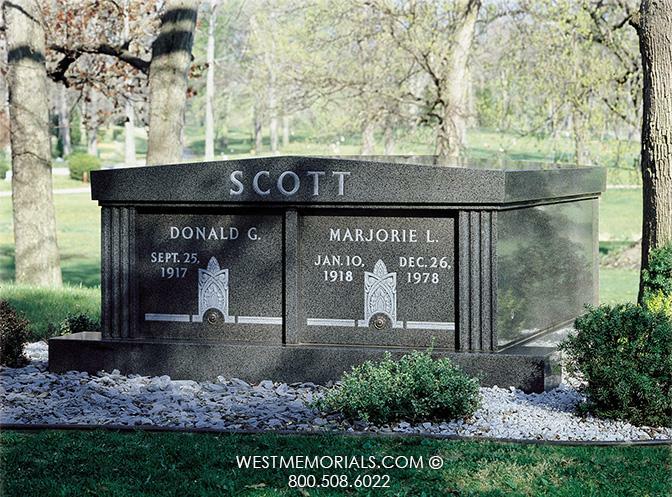 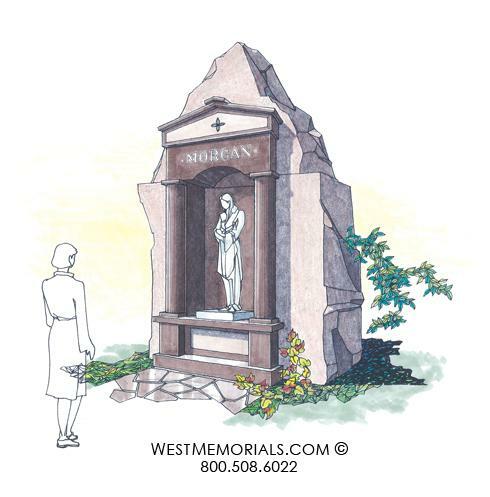 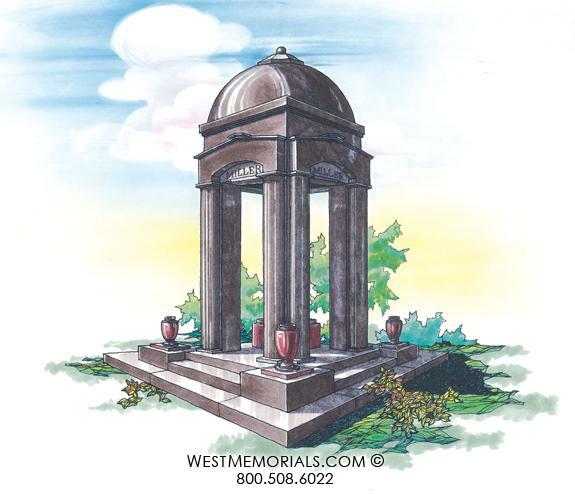 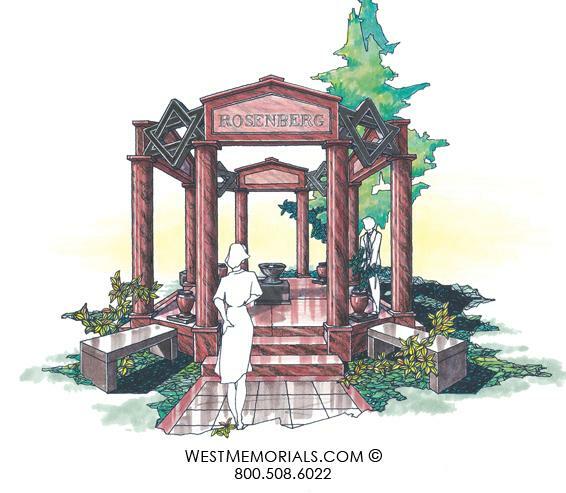 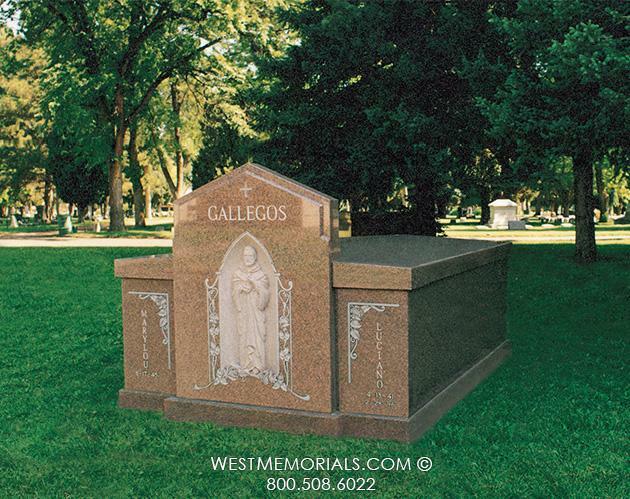 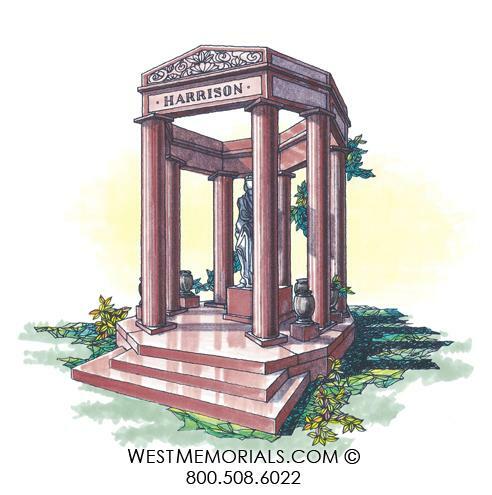 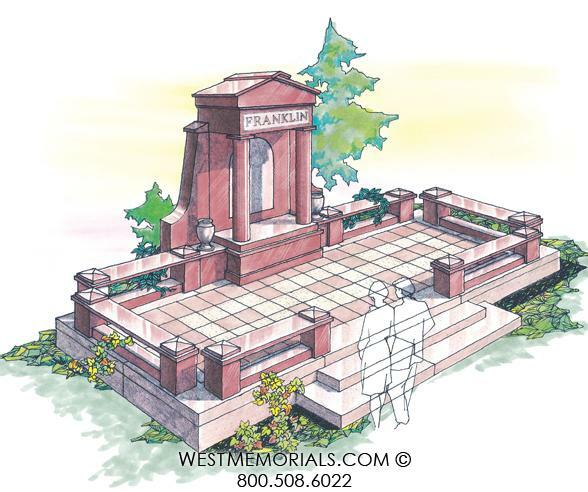 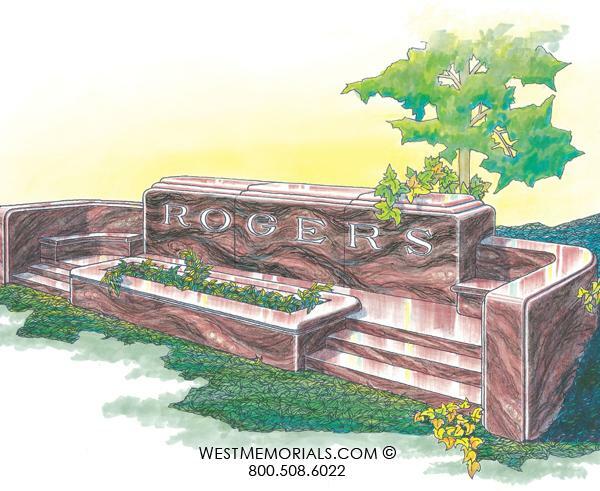 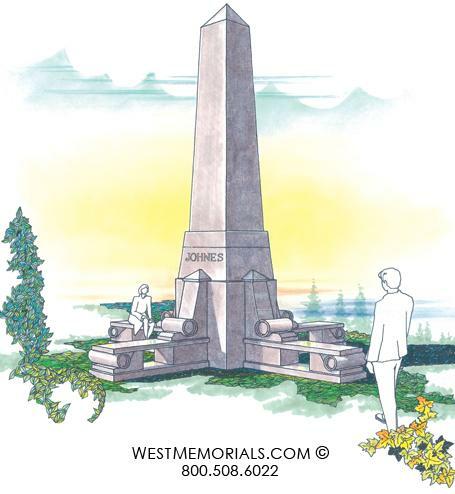 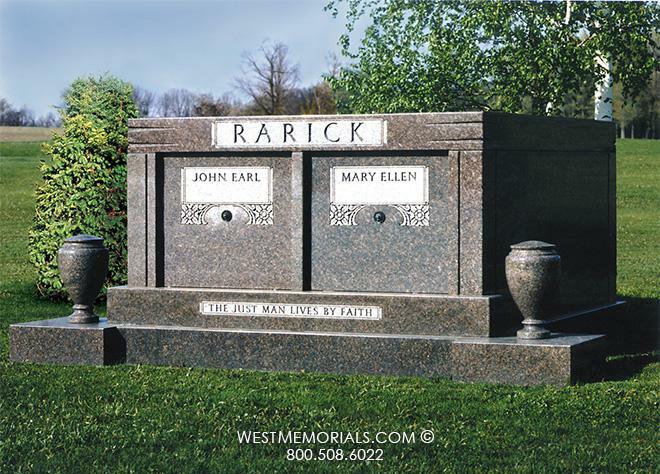 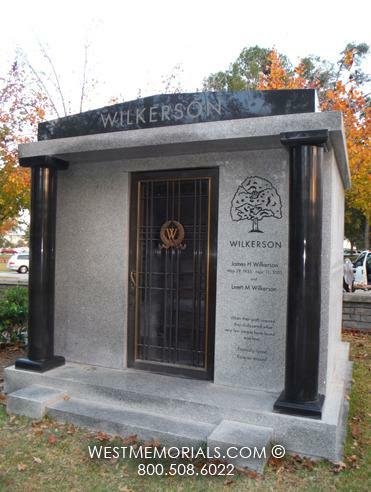 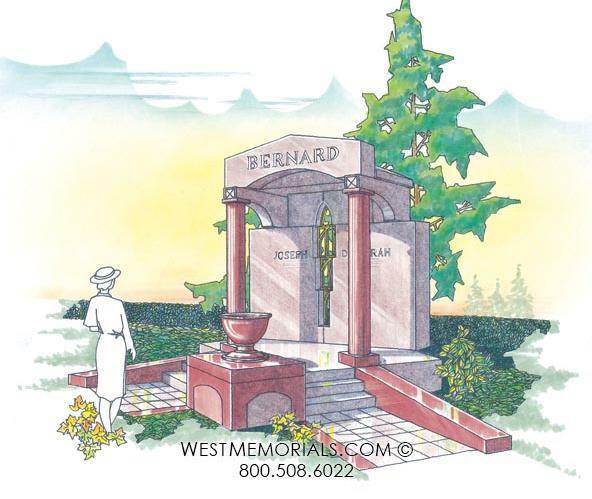 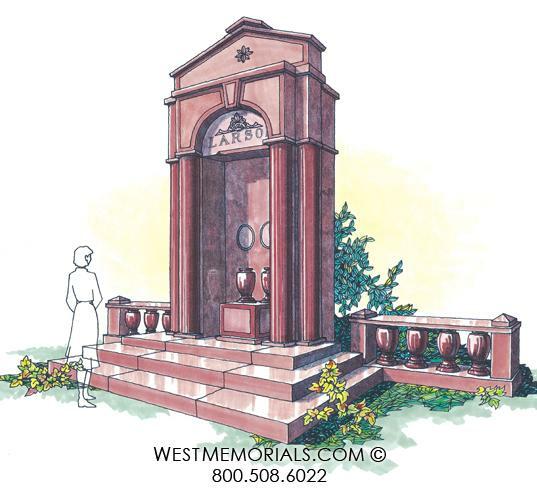 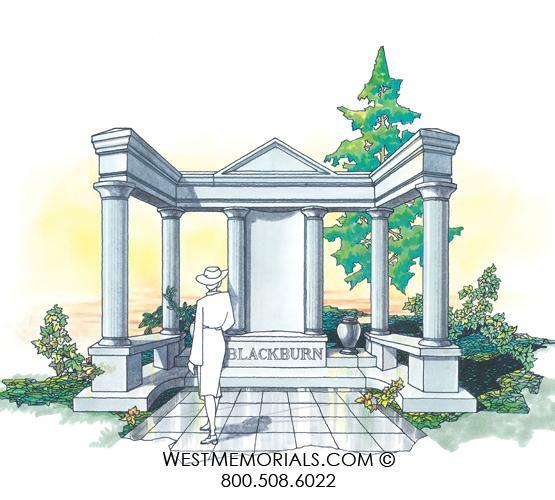 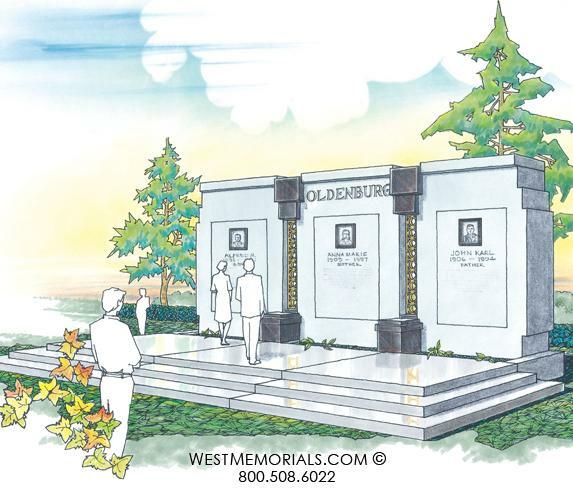 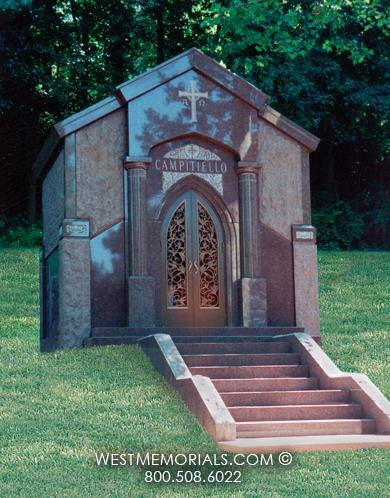 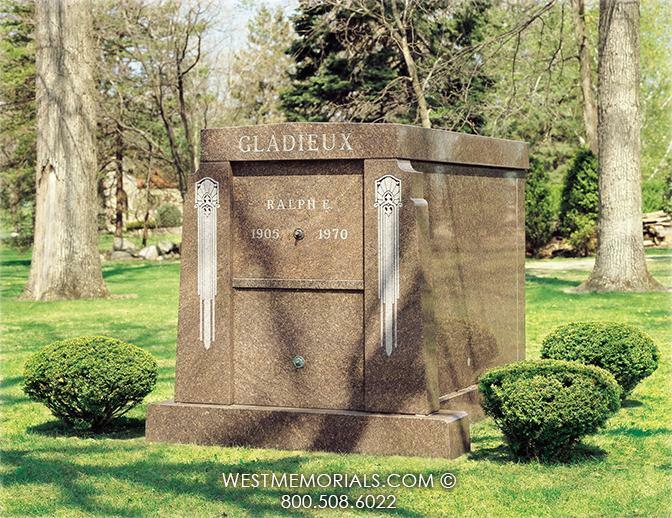 Mr. and Mrs. Carberry were eager to talk about options for mausoleum designs. 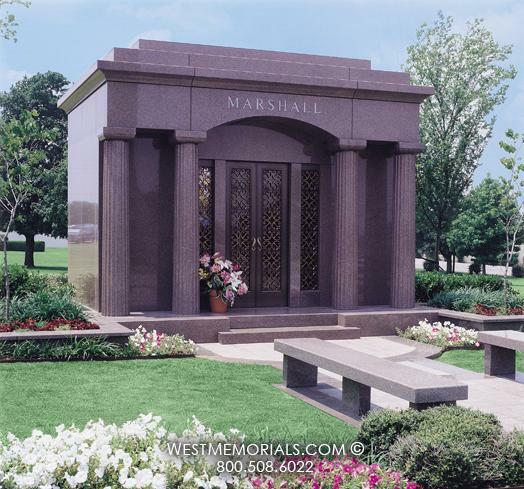 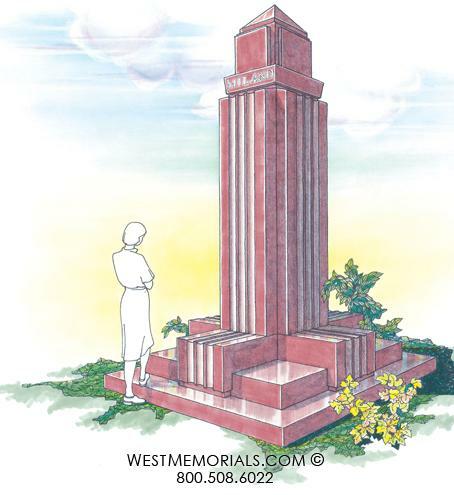 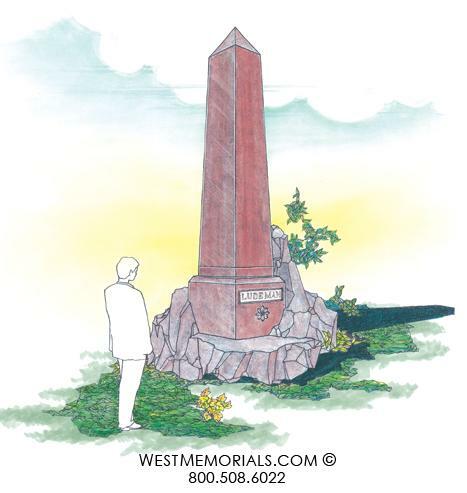 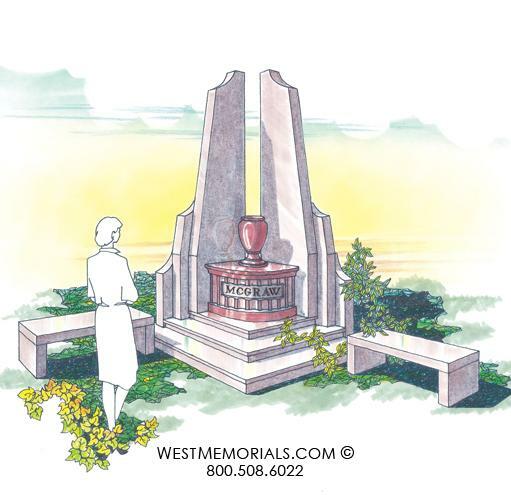 Their minds were set to have a rose colored granite mausoleum. 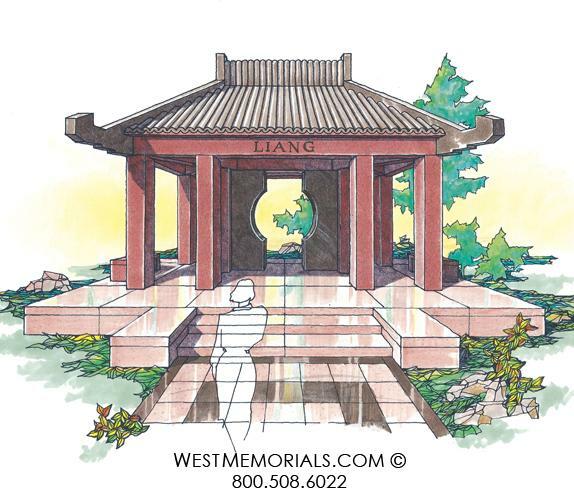 Options for building design came to them quickly after a few sketches. 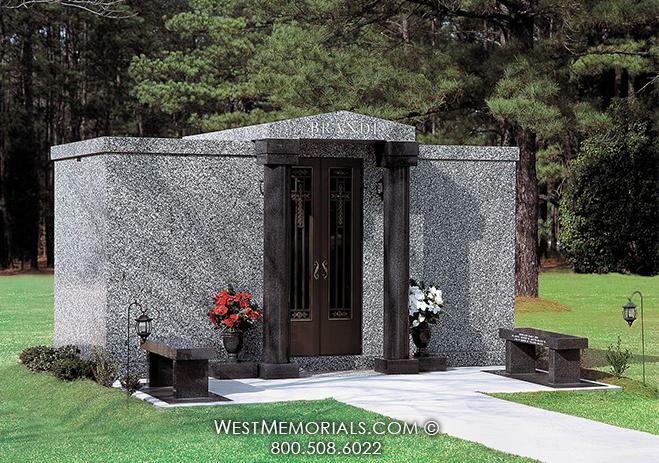 They continued to gravitate to a Gothic style walk-in building. 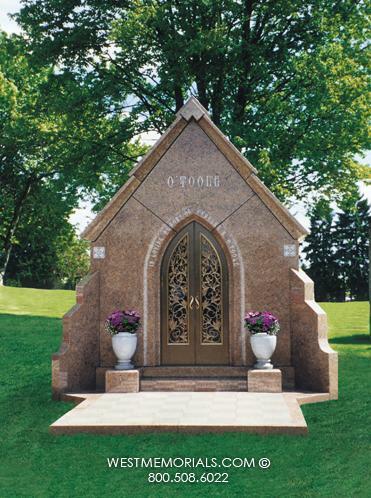 The pointed arched doorway and bronze door along with a custom stained glass window were a must for their vision. 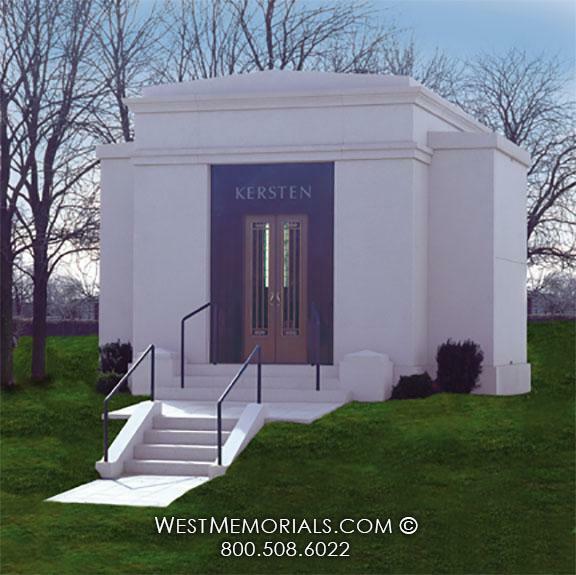 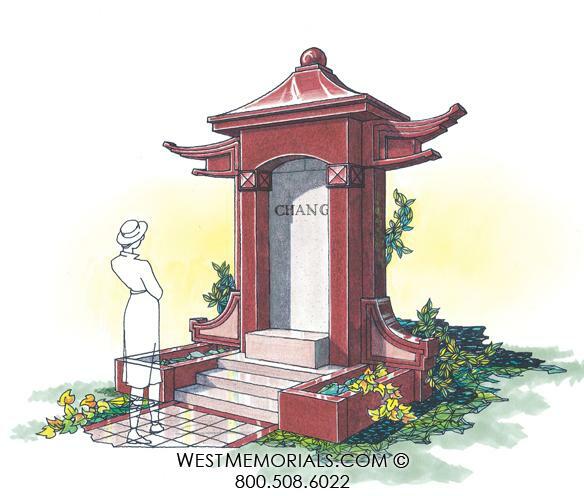 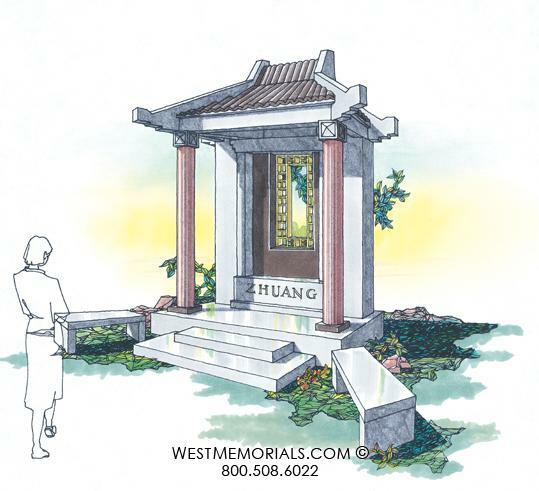 Refined to include a steeply pitched roof and buttresses, the unique private family mausoleum design was completely perfect. 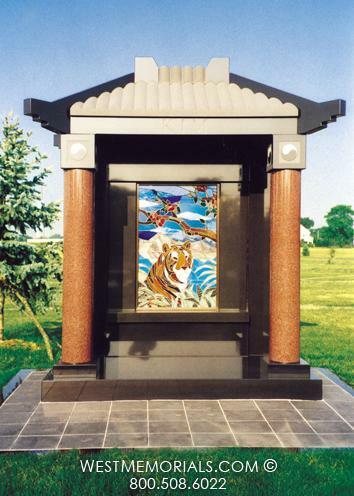 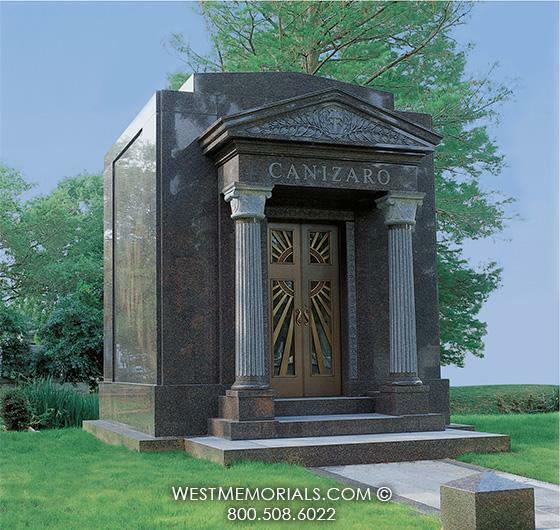 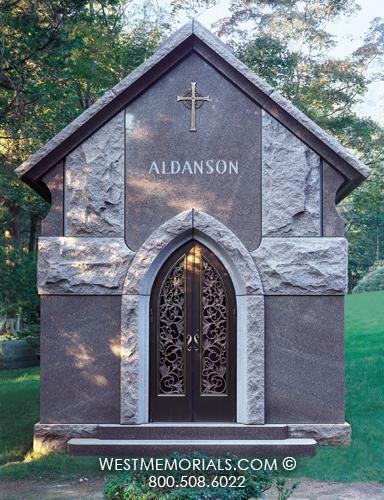 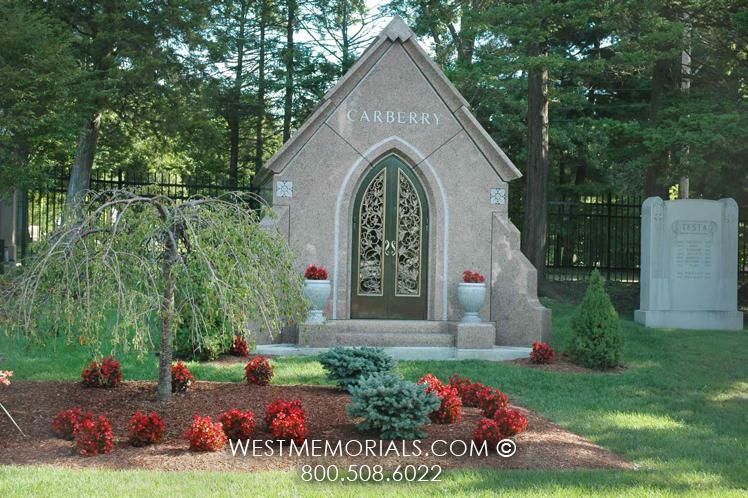 The Carberry Mausoleum was installed in St. Michael Cemetery in Boston, MA.